Now that is something really nice. The first Mercedes-AMG by Tarmac was a hit and that new GT3 version is another one! 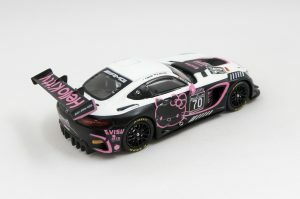 Unfortunately the Hello Kitty came with a broken wing. The reason was a screw too short that couldn’t keep the car attached to the base properly. Bad luck I guess. 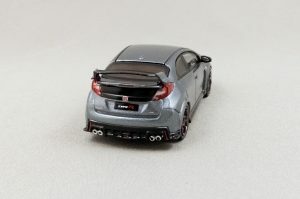 I glued it back but it started leaning when I took the pictures. 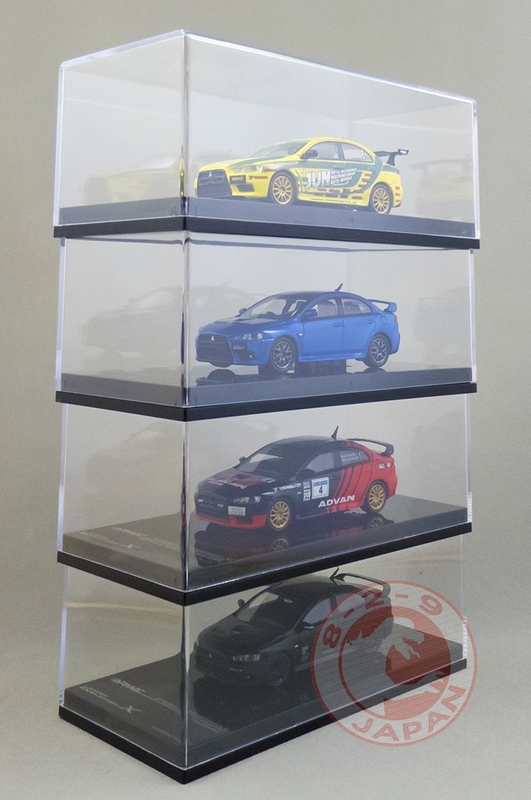 I managed to fix it properly later, so no big deal in the end. 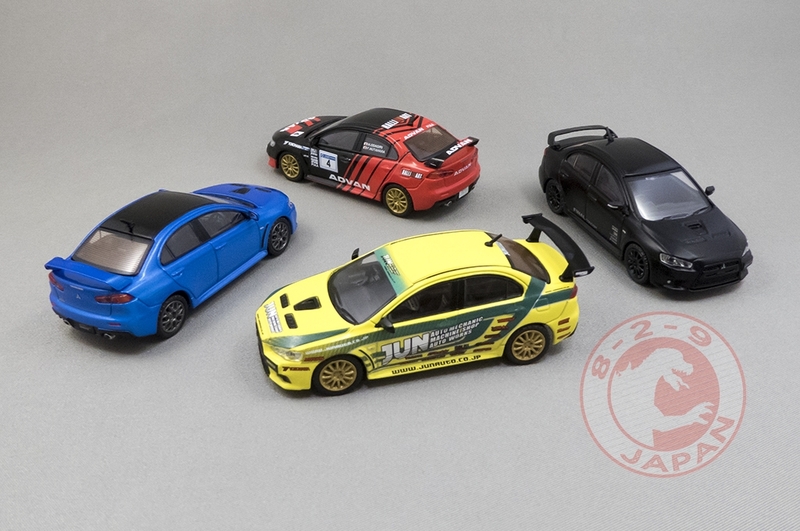 My only concern with those cars are the rubber mirrors, especially on the blue one. 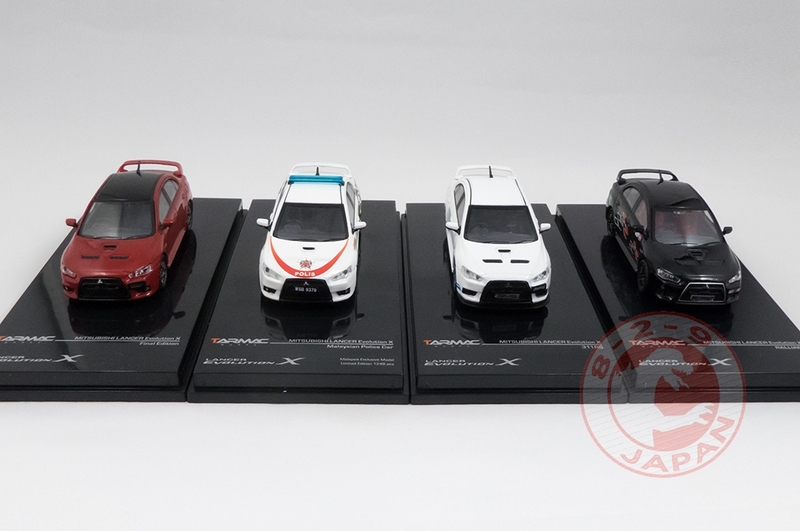 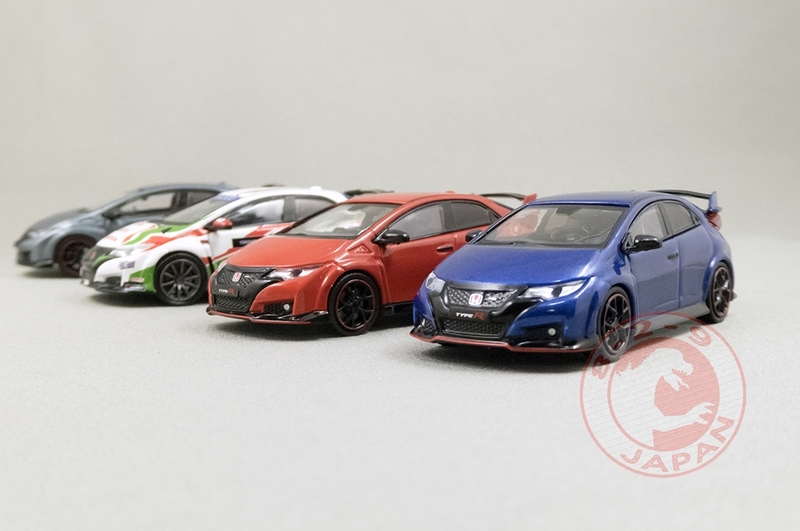 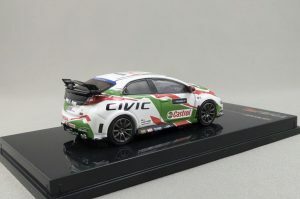 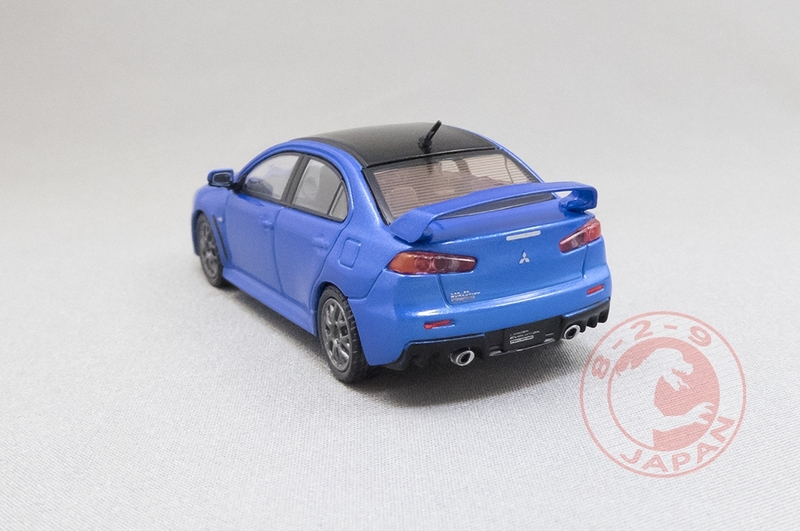 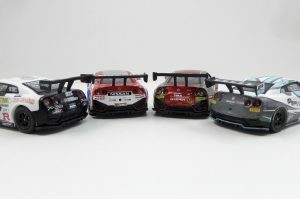 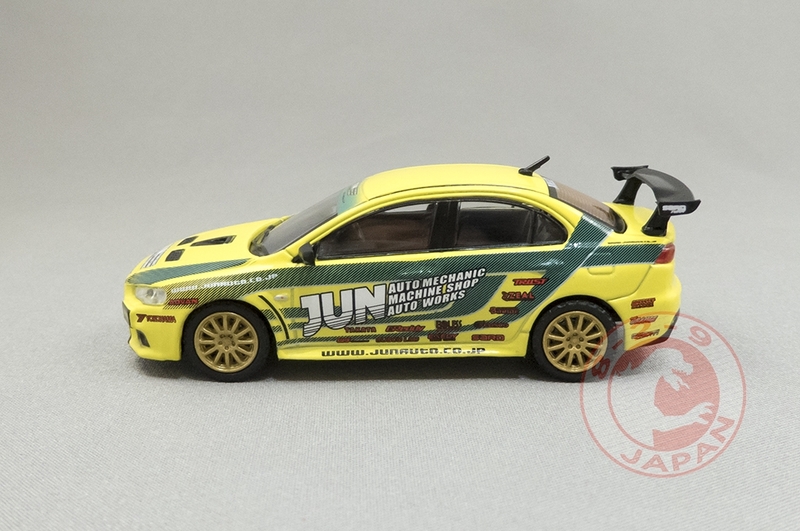 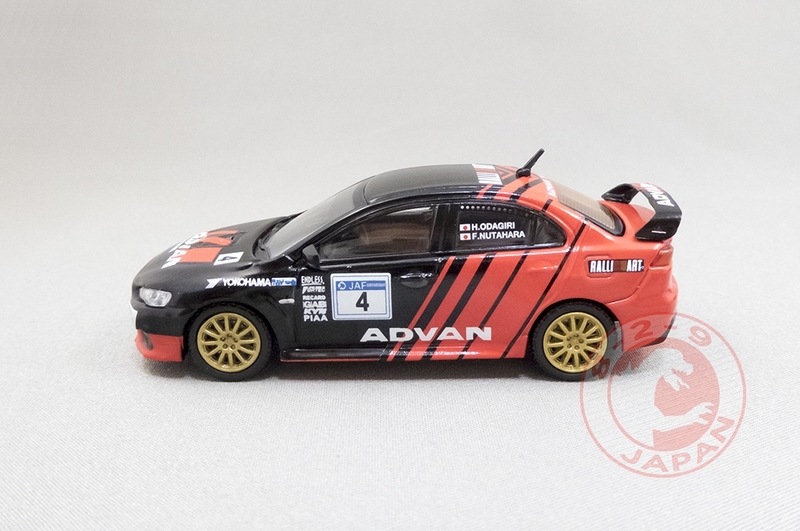 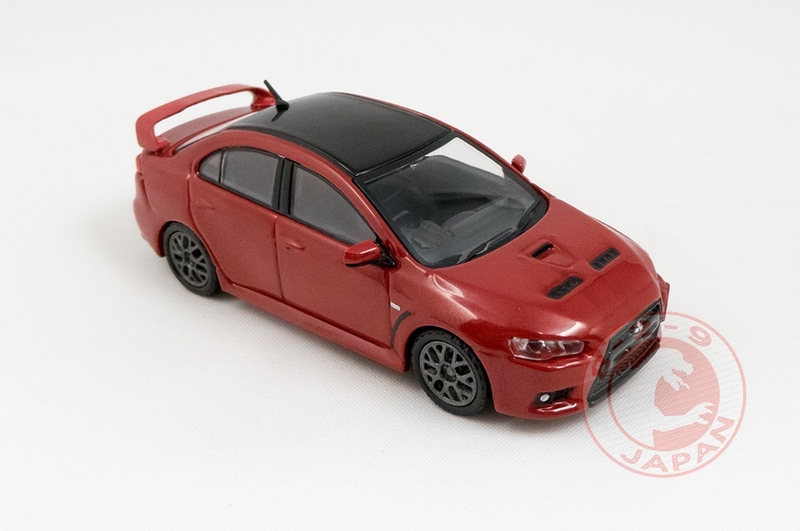 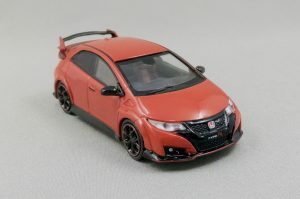 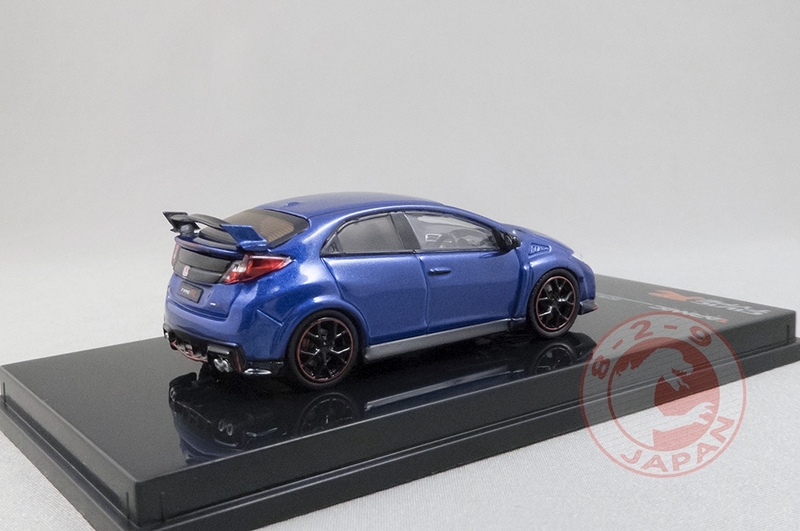 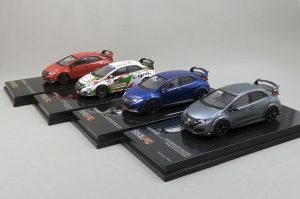 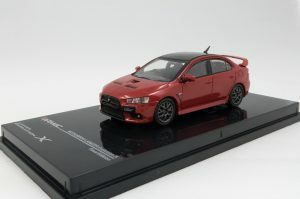 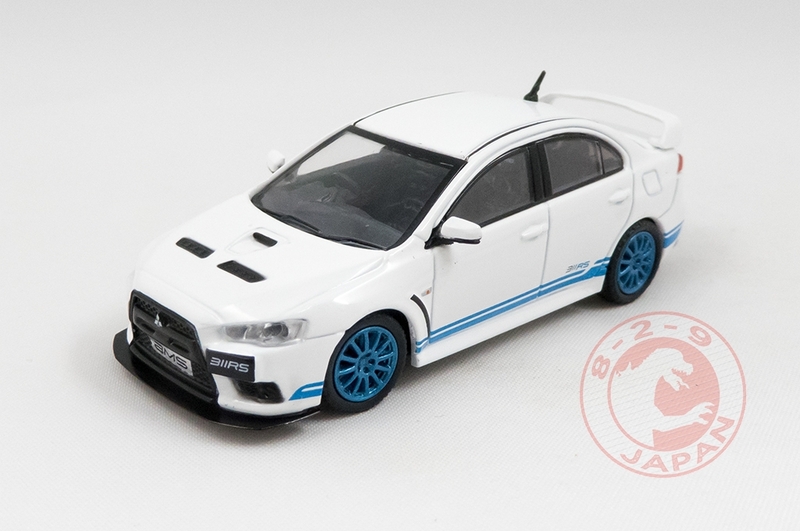 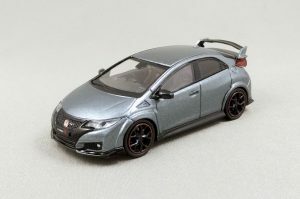 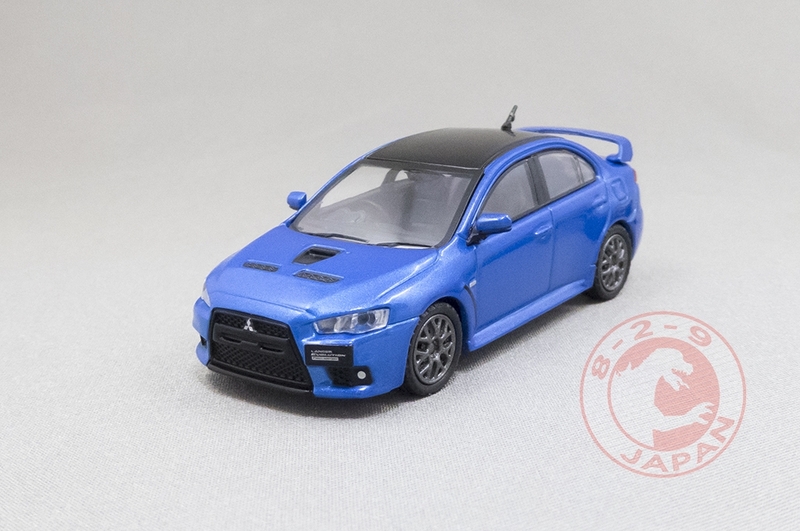 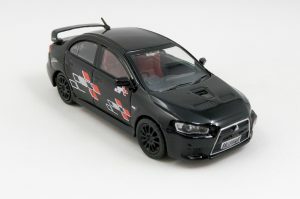 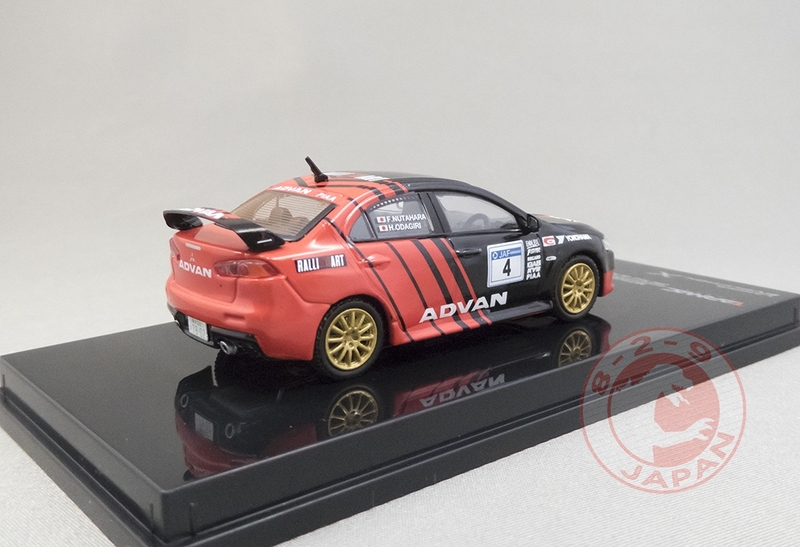 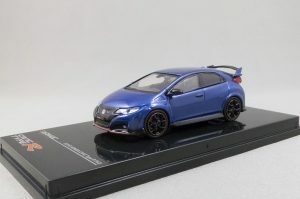 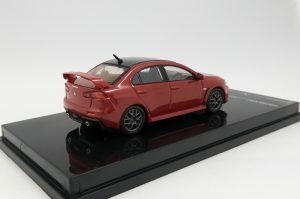 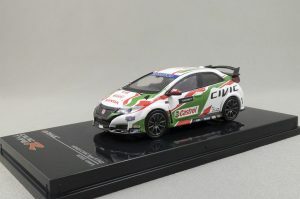 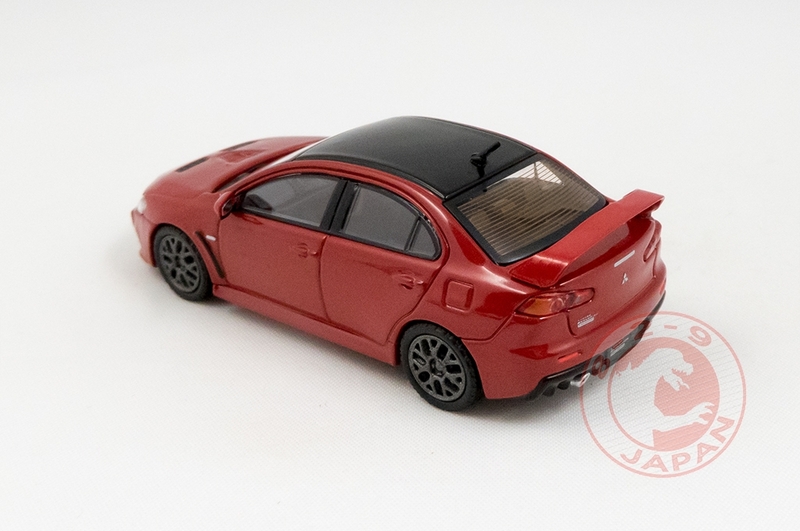 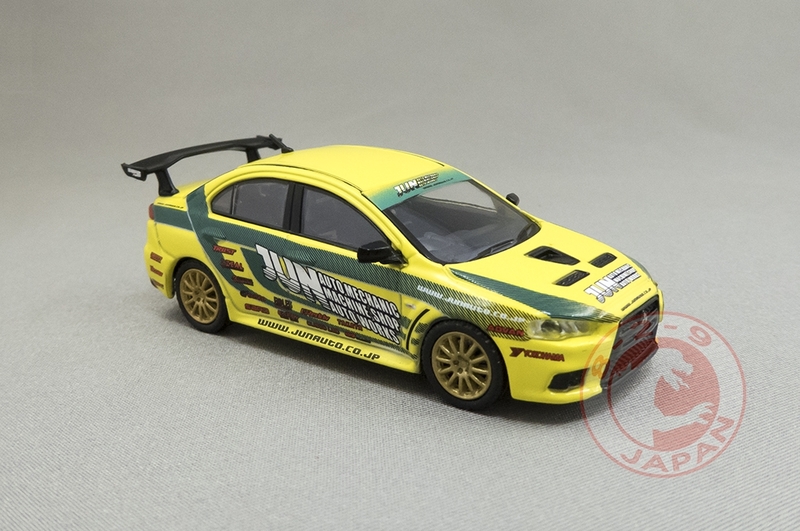 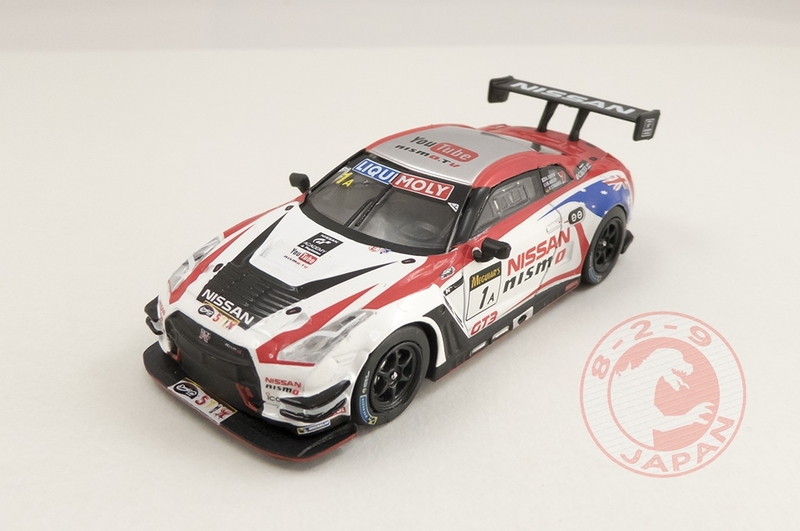 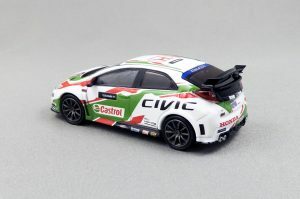 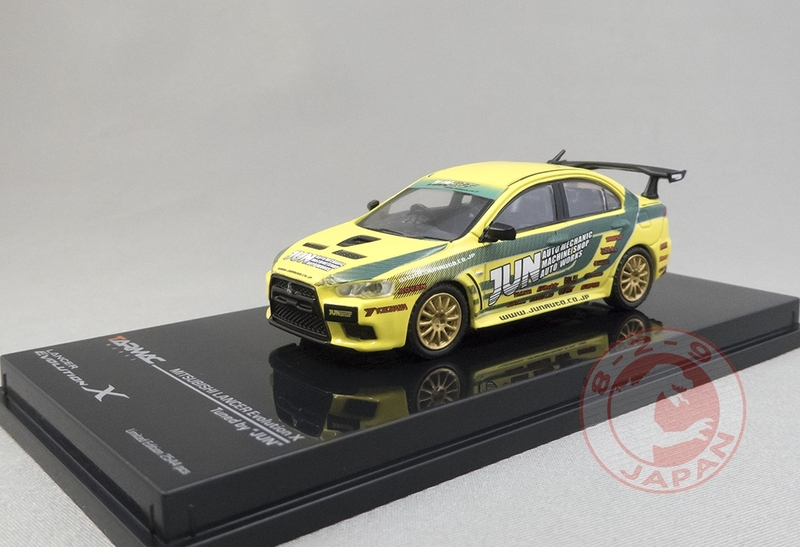 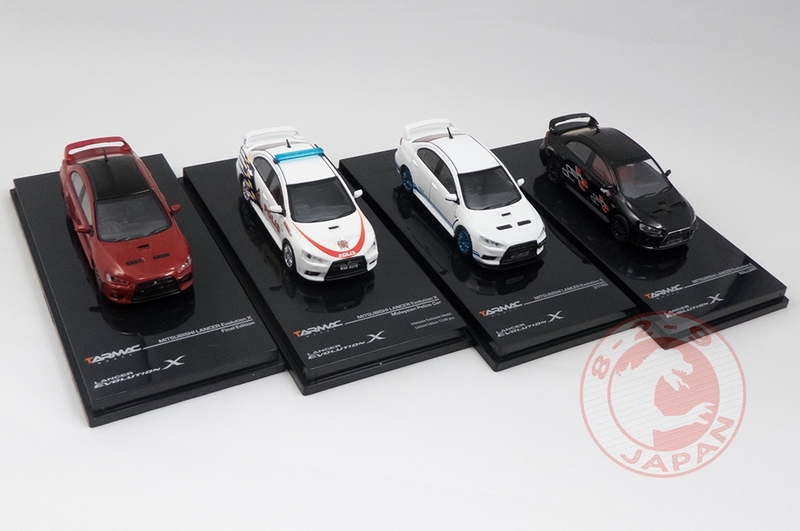 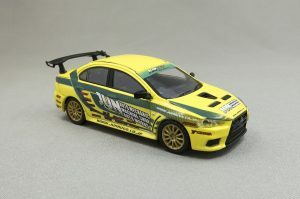 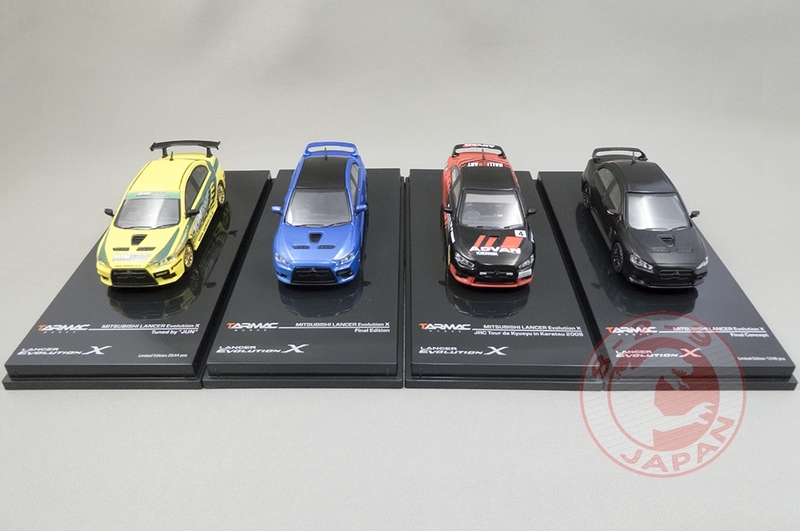 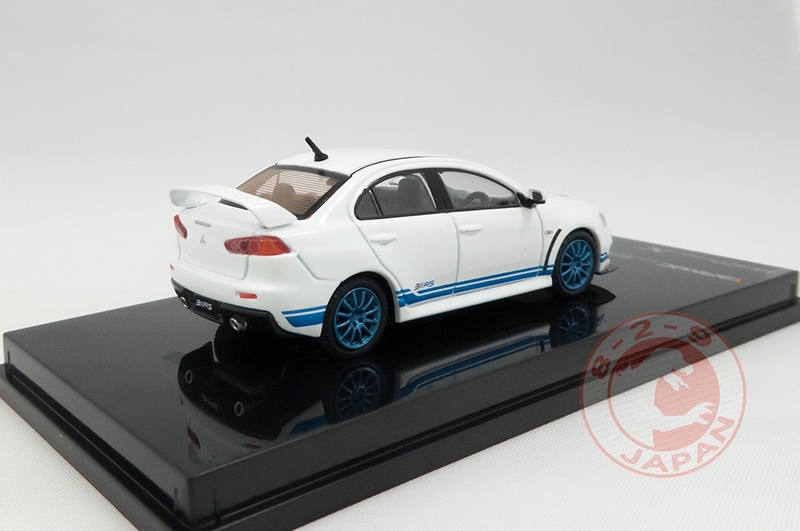 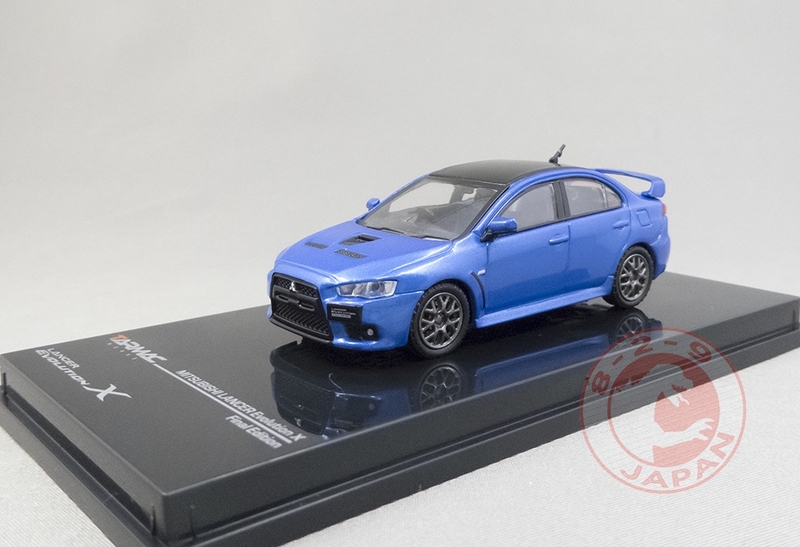 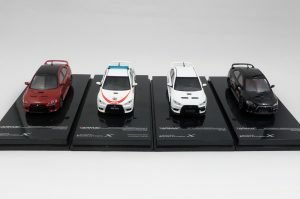 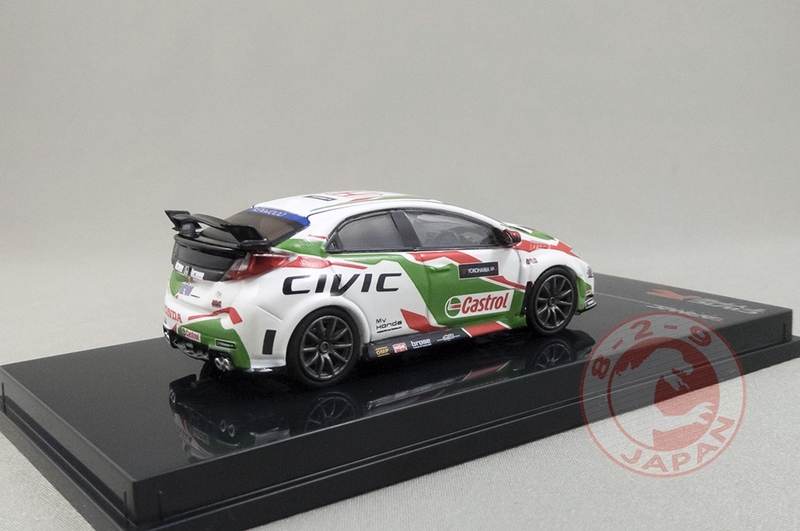 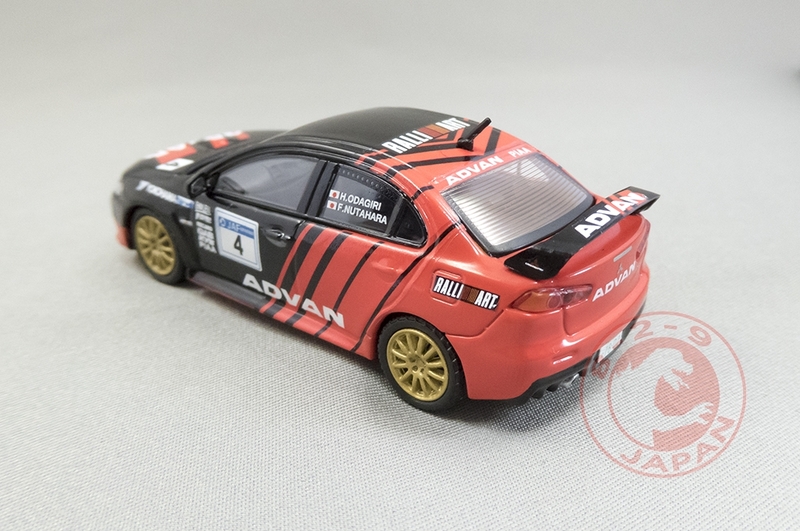 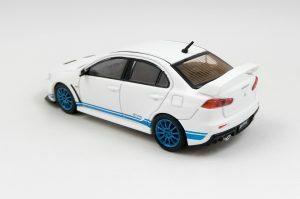 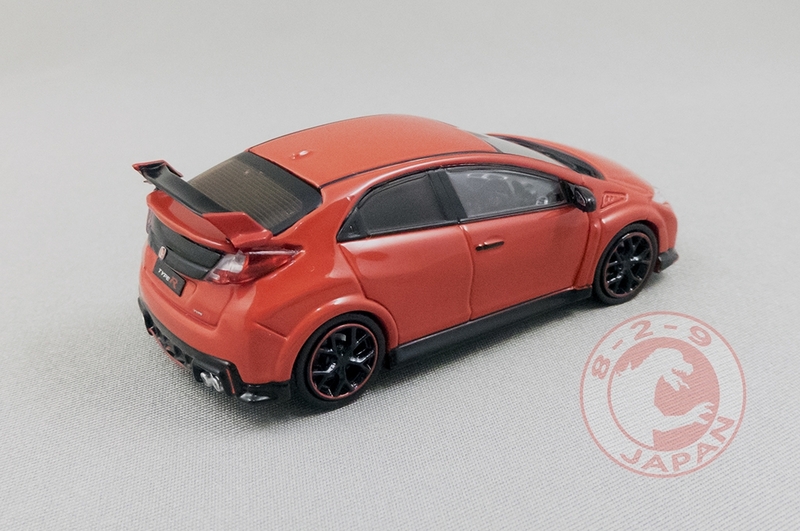 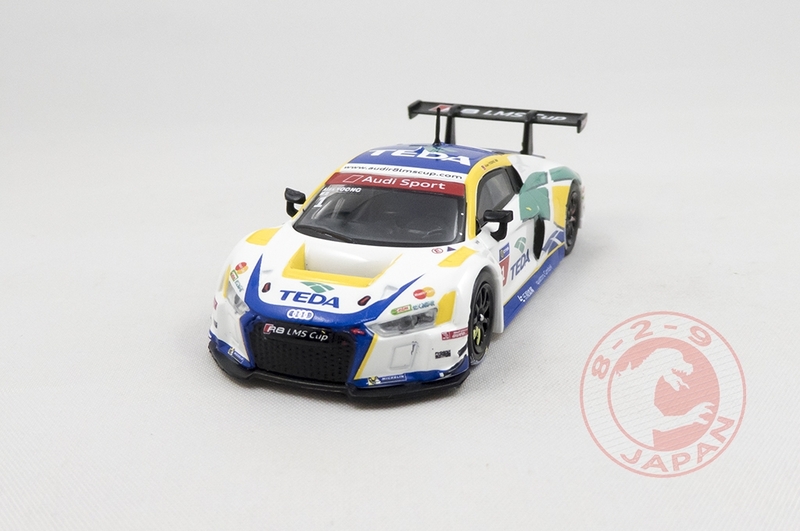 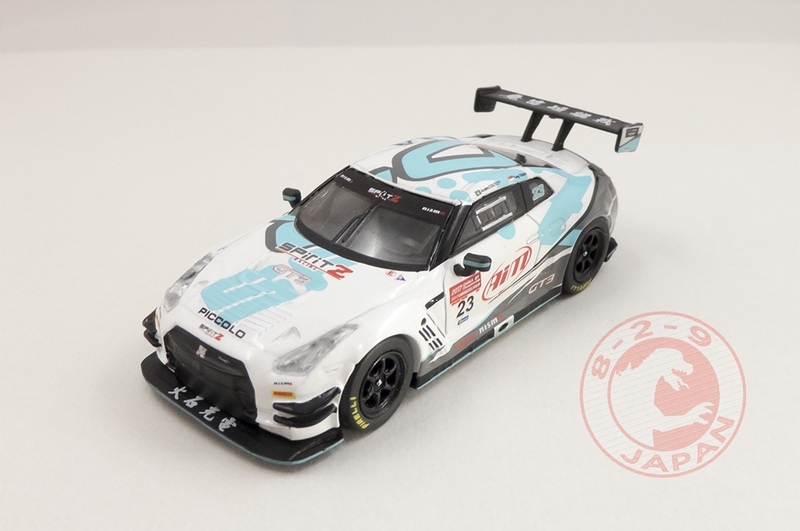 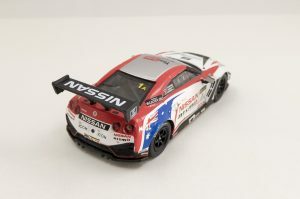 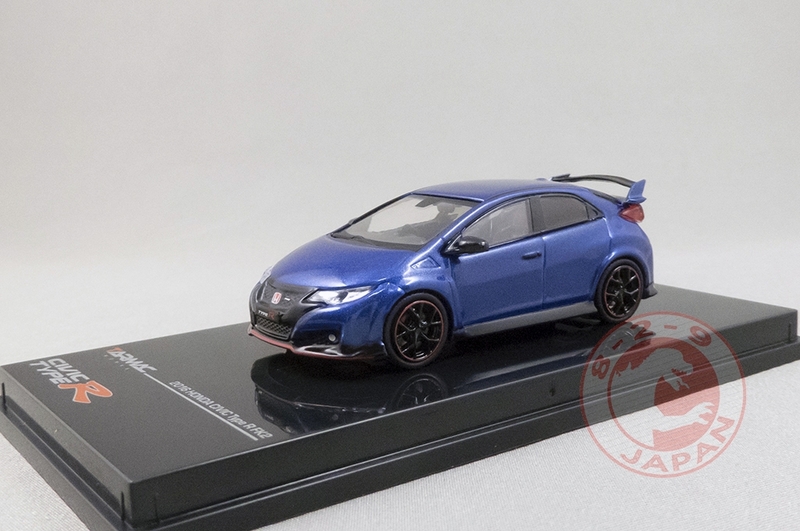 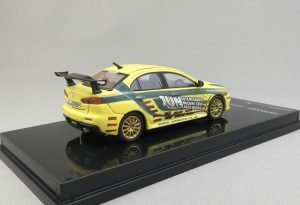 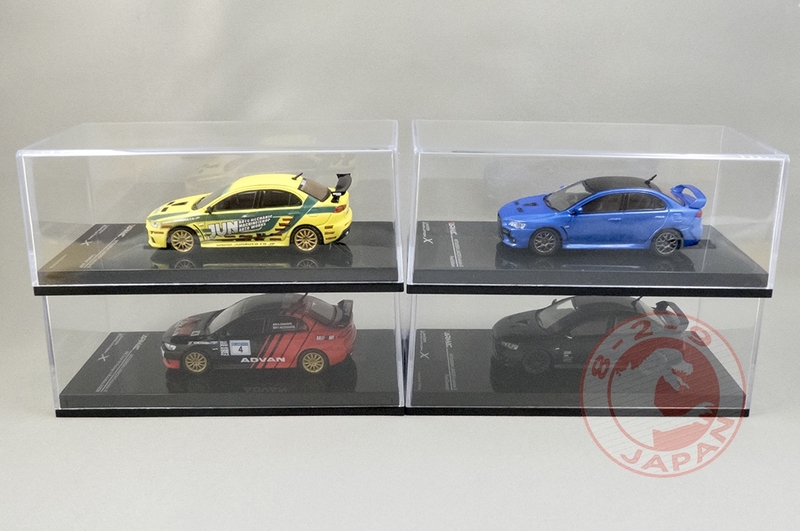 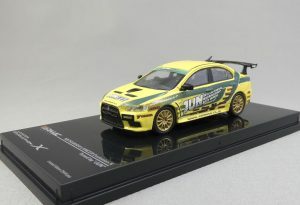 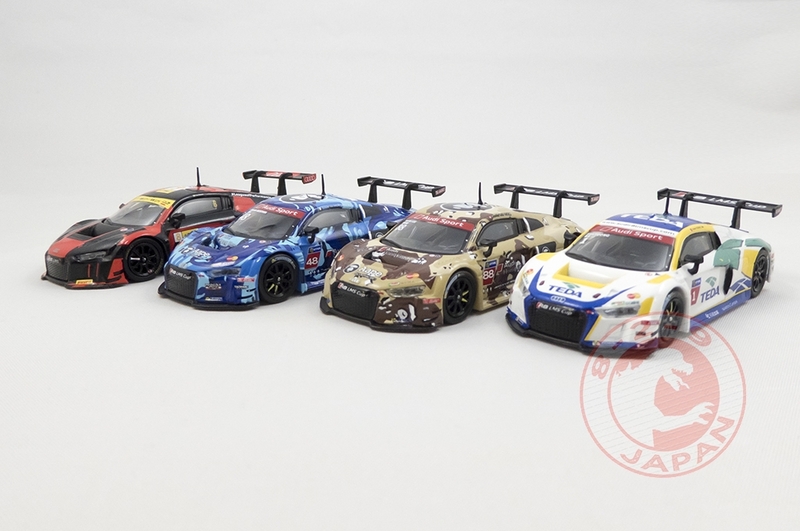 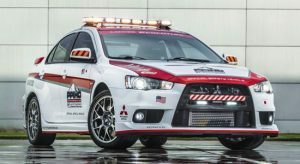 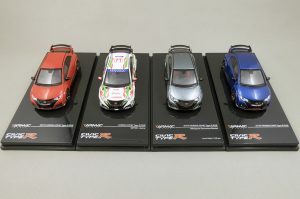 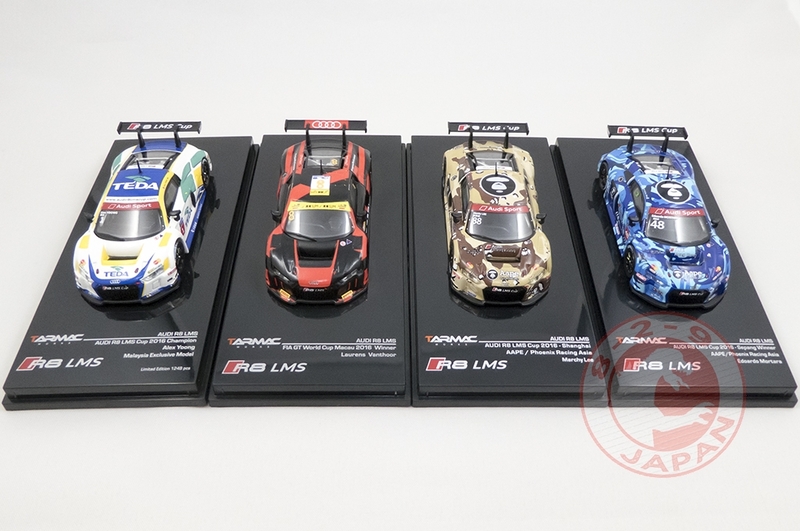 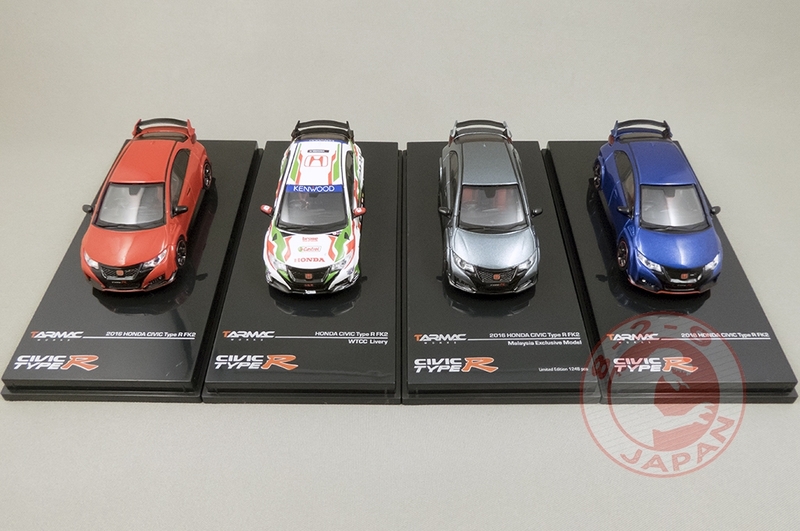 That’s a shame to have bad mirrors on such great models, I never had this issue with the previous Tarmac cars like the Evo X, the Civic FK2 or the R8 LMS, all with hard mirrors. 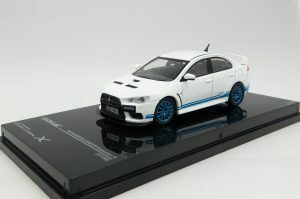 And none ever came with a broken one. 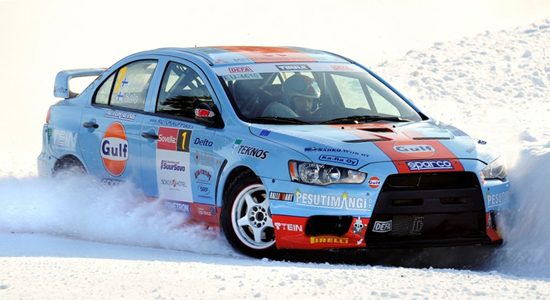 To the Tarmac team : please reconsider the use of rubber mirrors ! 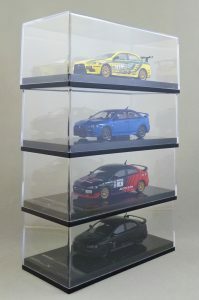 It doesn’t matter they are unbreakable if they are looking weird. 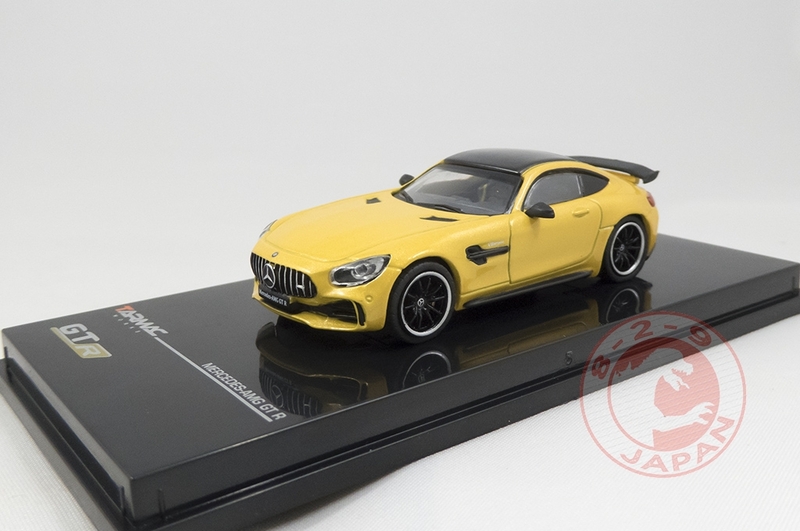 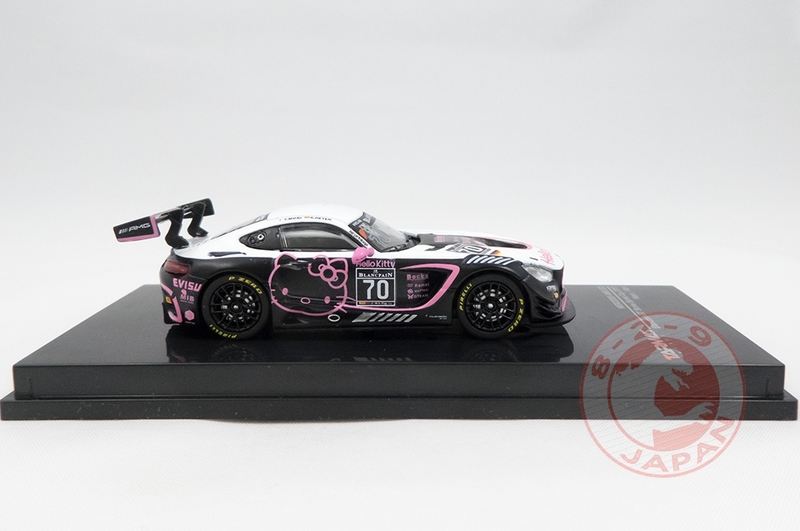 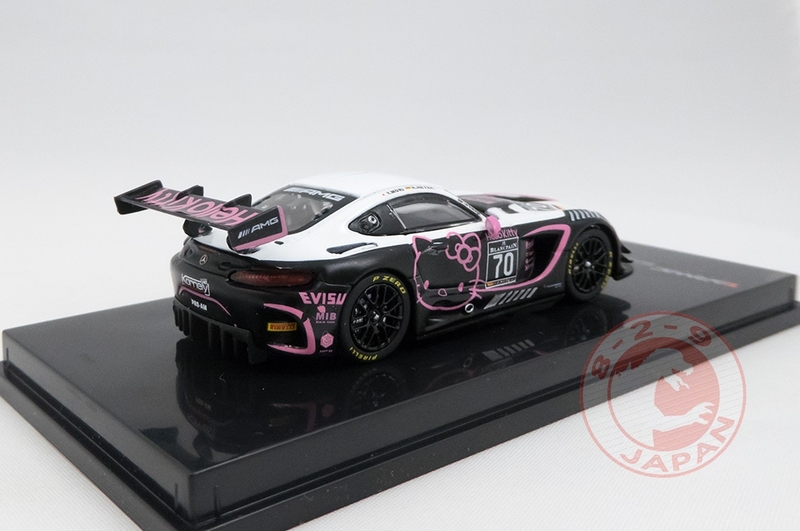 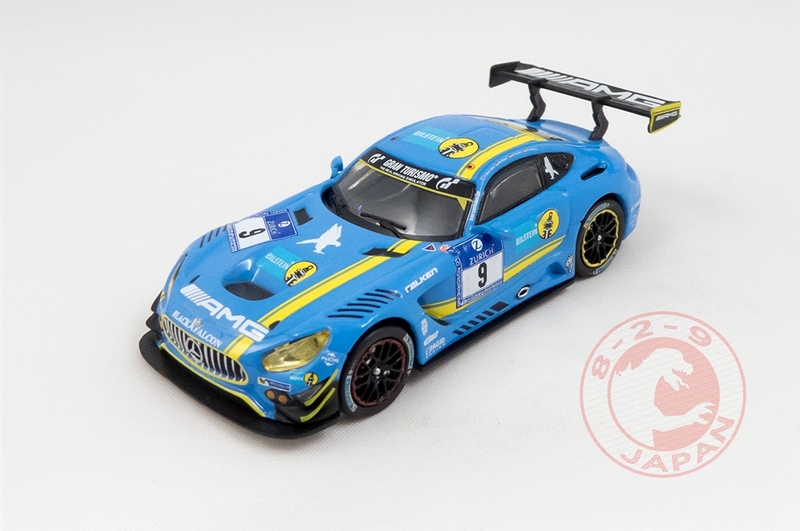 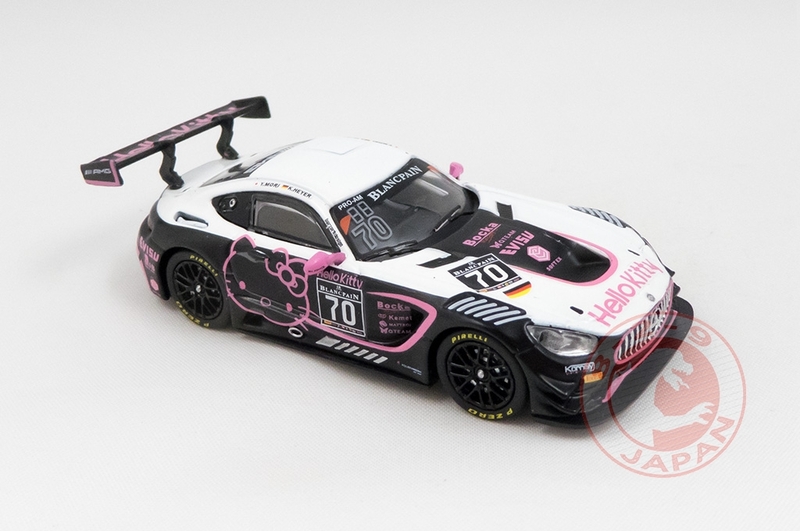 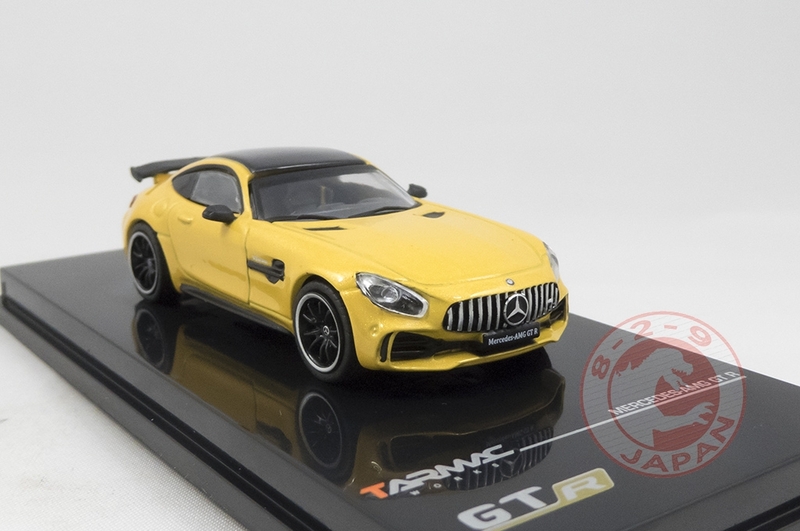 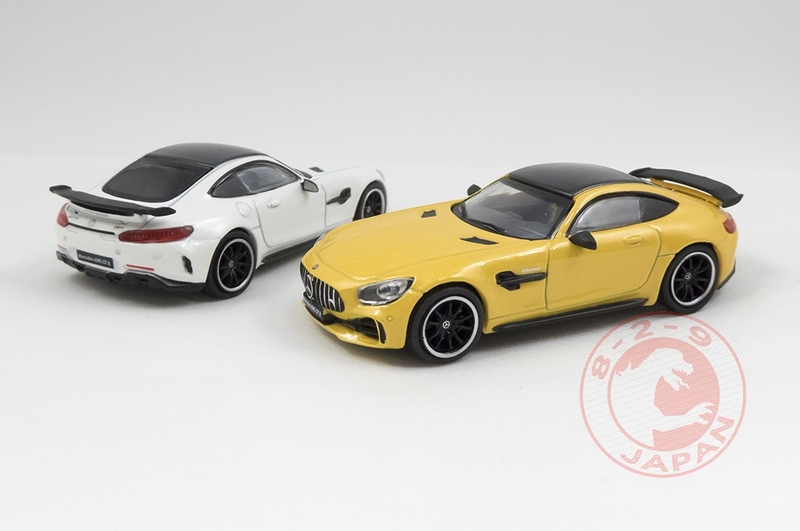 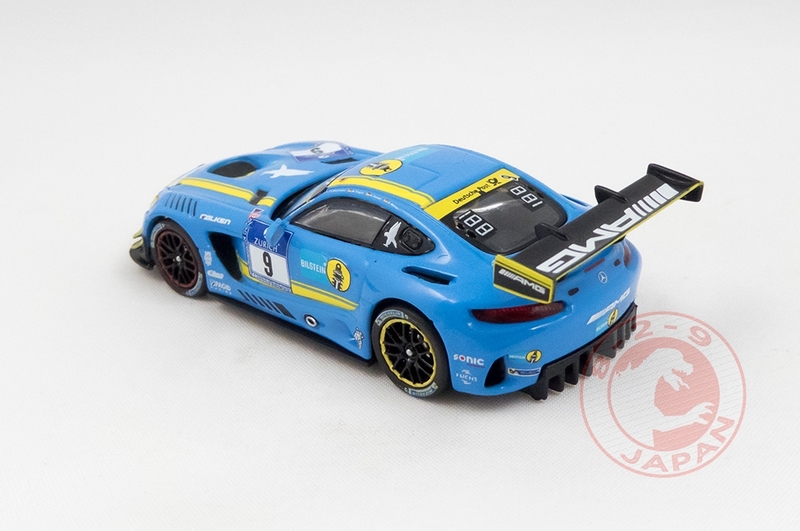 That said, I love this AMG GT3 and will definitely get the green version. The Aventador SV is the second car in the Global64 line after the Audi R8 V10 Plus. 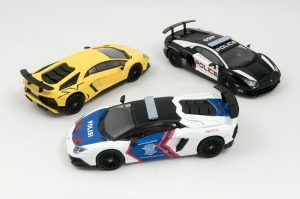 They feel very close to what Kyosho used to do, with surprising details like the neat Lamborghini emblem on each wheel. As usual with Tarmac the wheels and decoration are very nicely done, even at this lower price point. 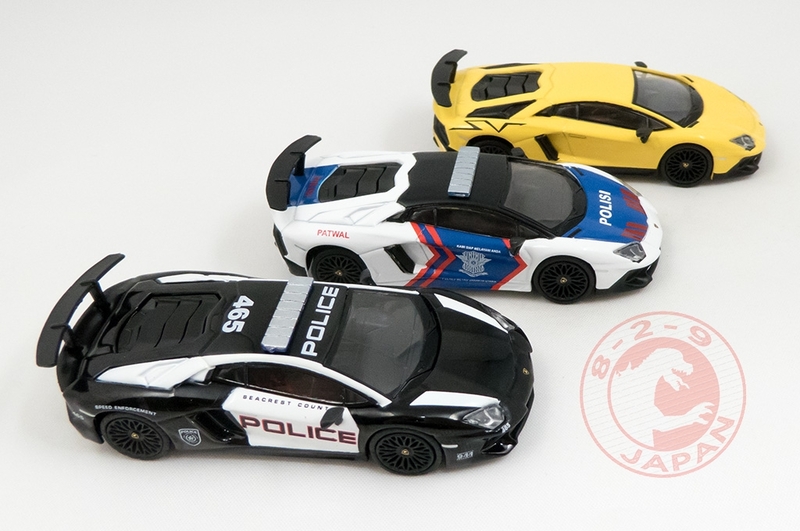 Somehow on the NFS Police version the front lights are much better done than on the other two (they look quite bad on the yellow as you can tell). The rubber side mirrors are – once again – not properly oriented. 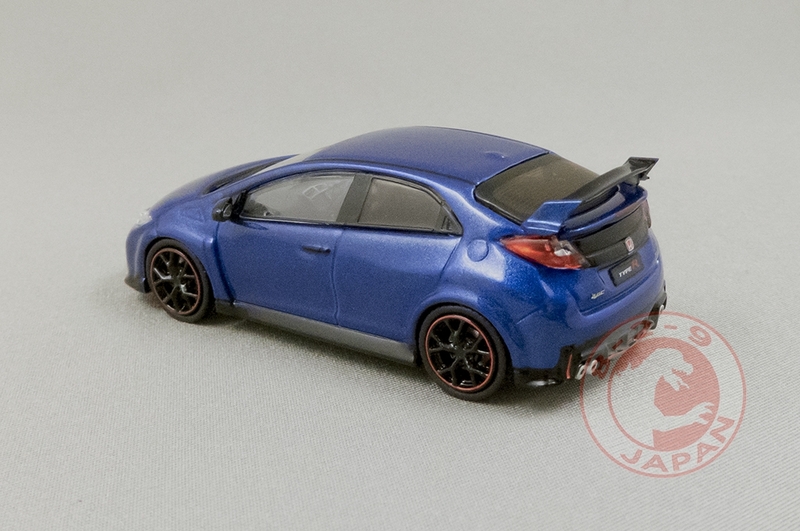 On that note, I am definitely not keen on that trend of using rubber for side mirrors. 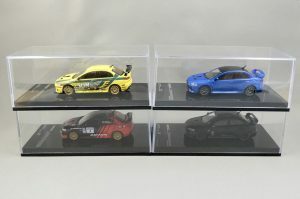 They are almost never in the right position. 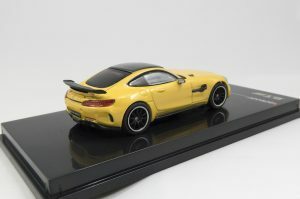 I would rather have a broken mirror once in a while that I can glue back than twisted rubber mirrors all the time that I can’t do anything about. 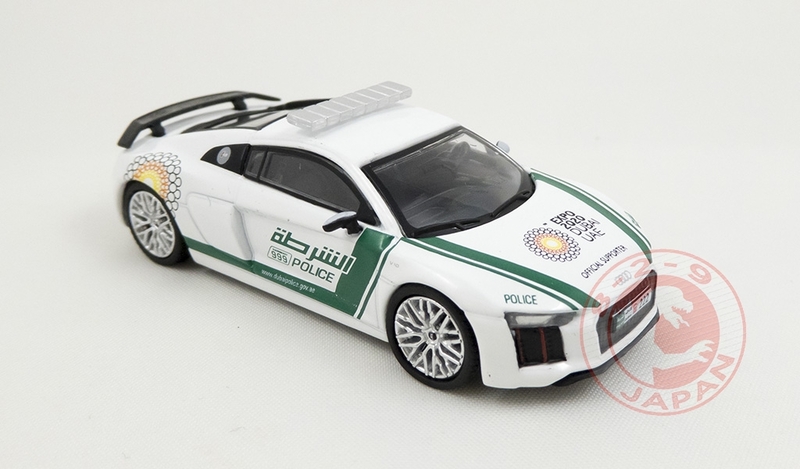 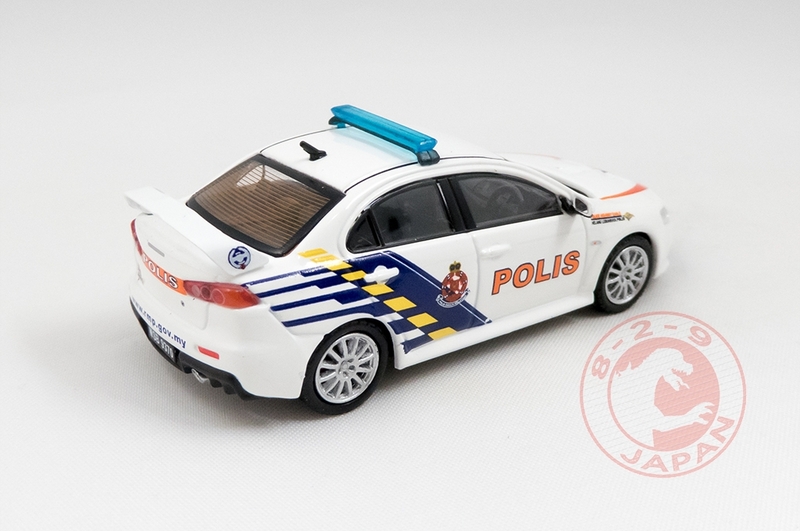 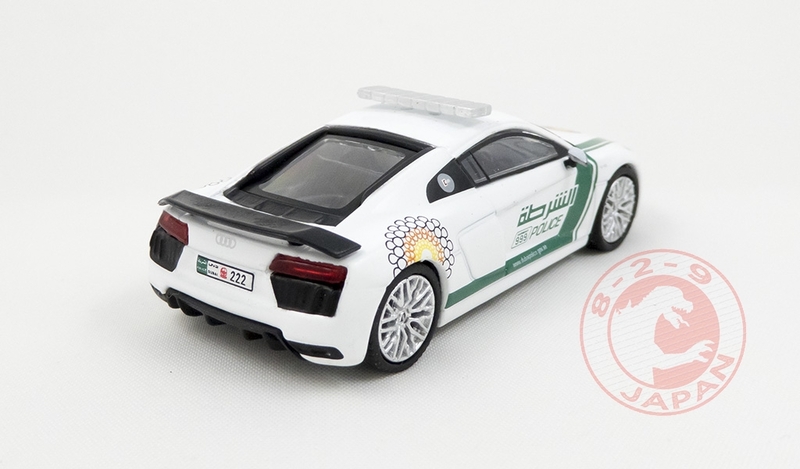 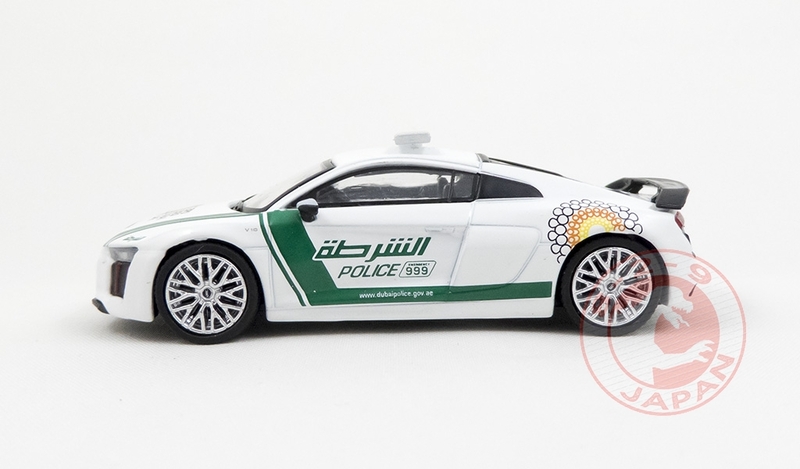 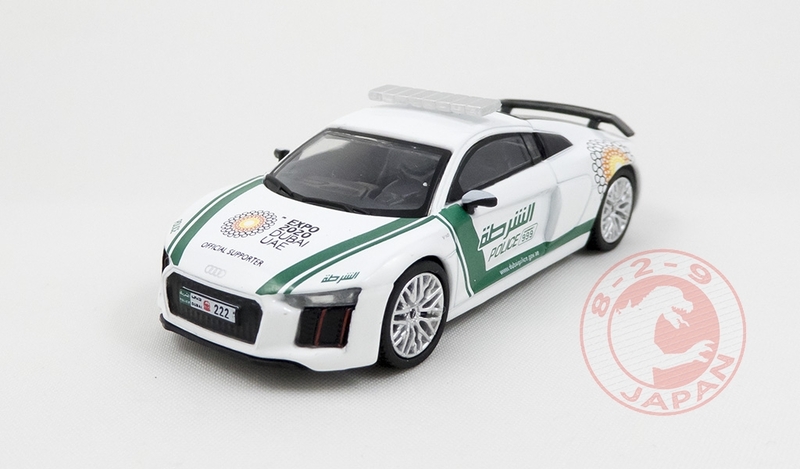 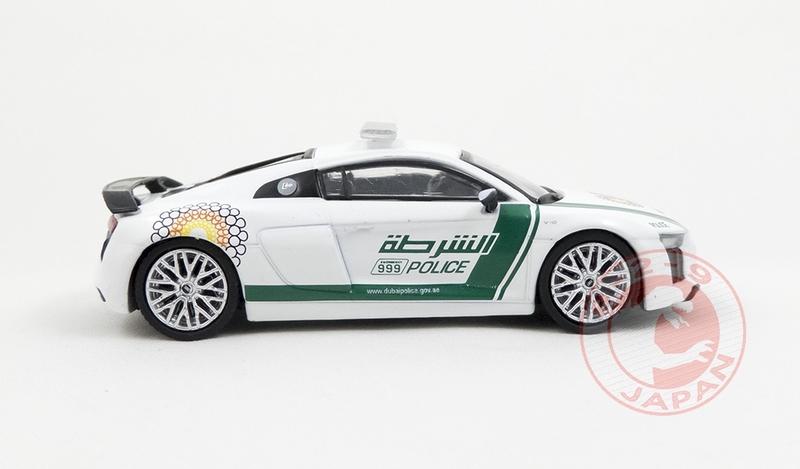 Also available : Dubai Police version and Verde Ithaca green. 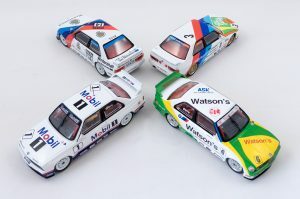 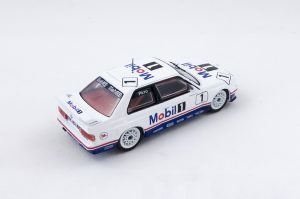 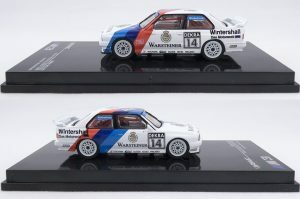 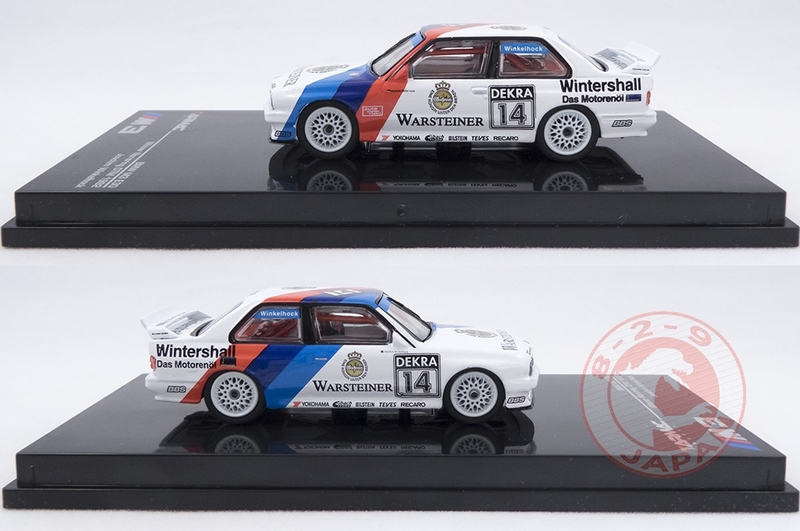 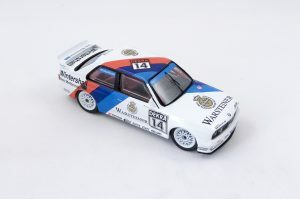 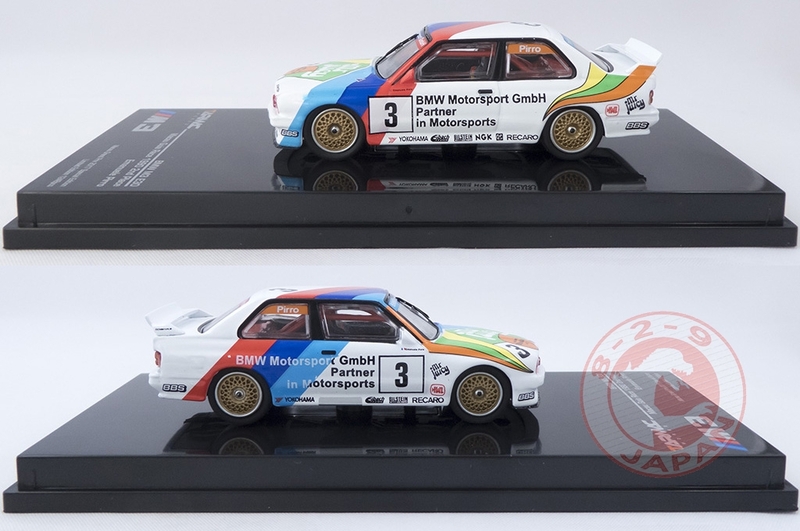 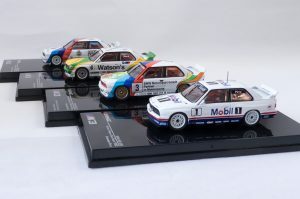 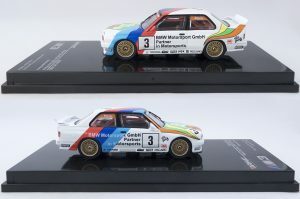 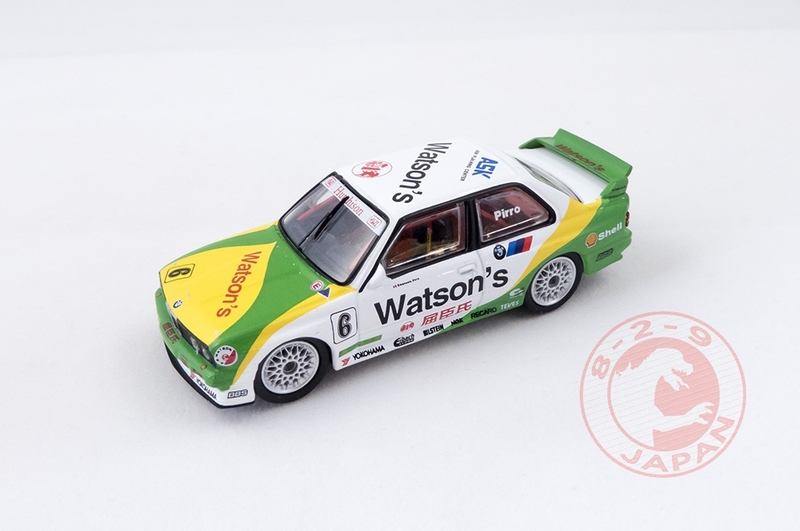 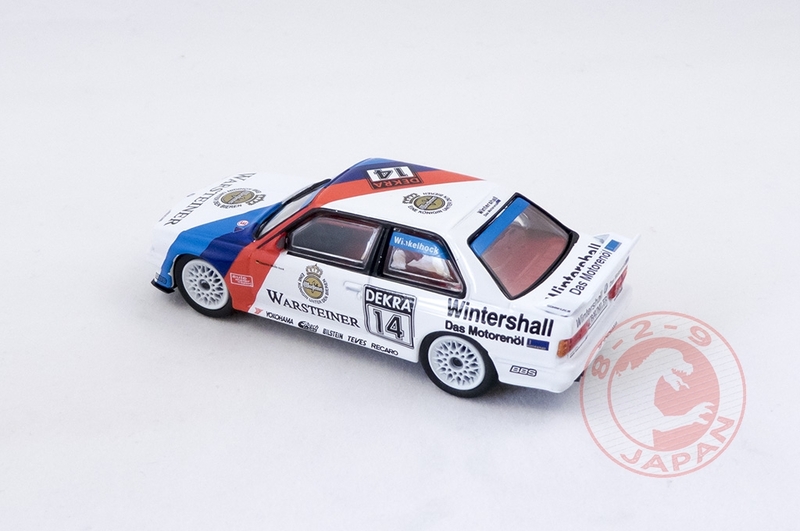 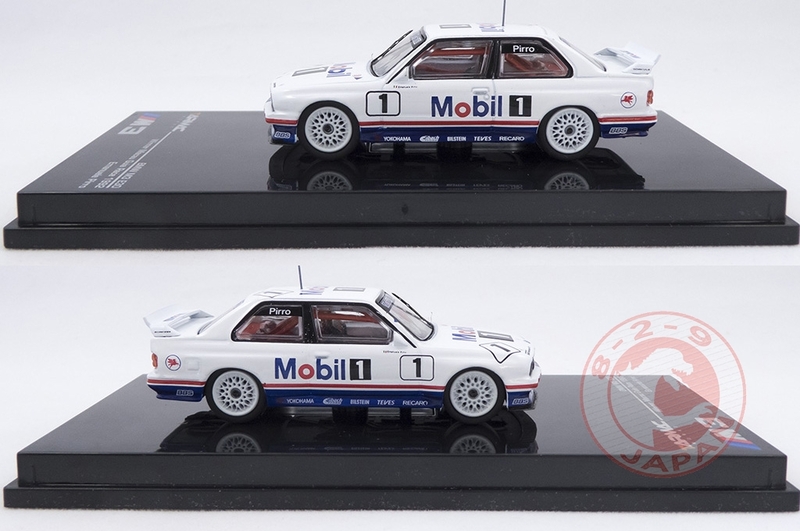 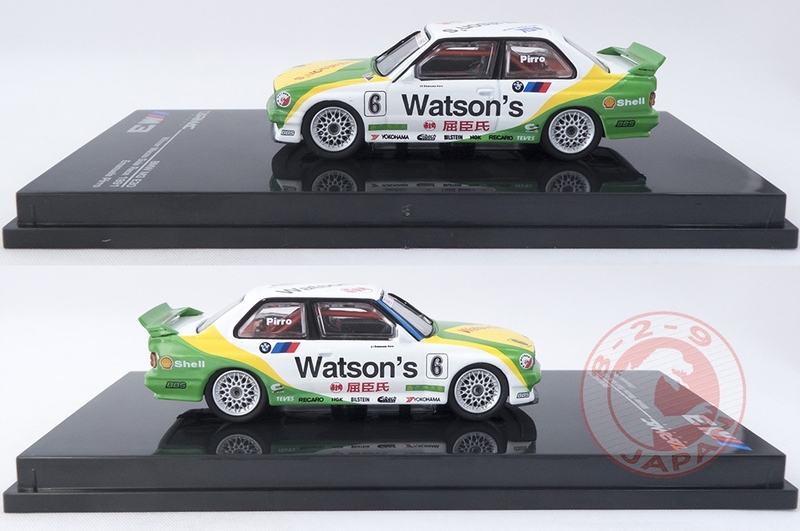 Many versions of the BMW M3 E30 are already available in Tarmac’s Hobby64 line, offering quite a rainbow of racecar colors. 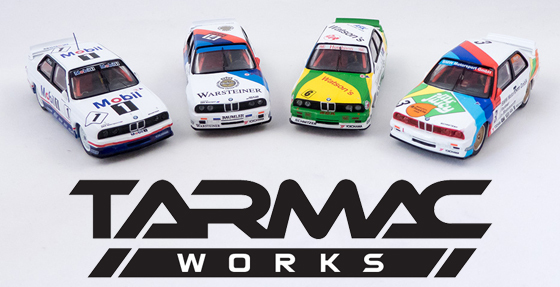 All these iconic liveries are flawlessly scaled down to these 1/64 replicas in an impressive display or precision and accuracy. 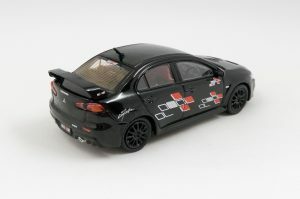 The interior is very detailed as well, with harnesses on the seats, a complete rollcage and even a painted gear stick. 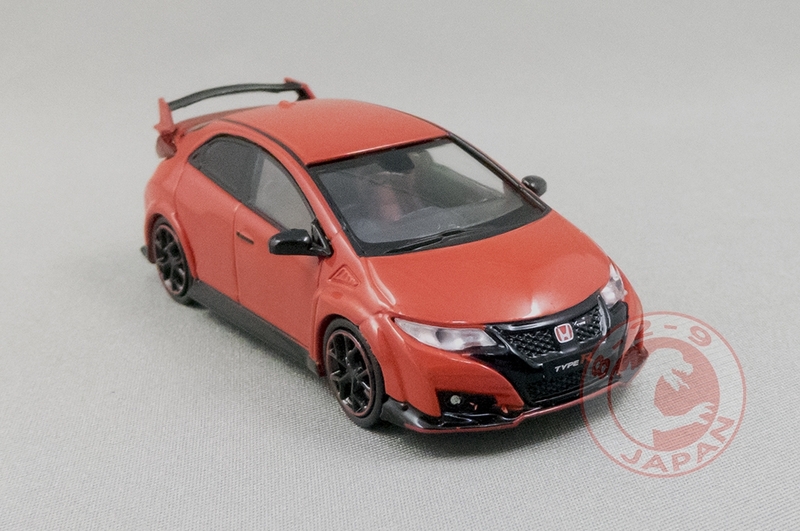 On that note, the rollcage seems to be a bit lower than it should be. That’s probably due to the construction of the model itself, working at such a small scale is not leaving much room to cram many things inside. 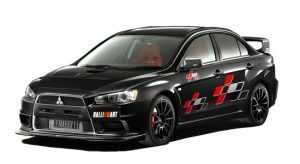 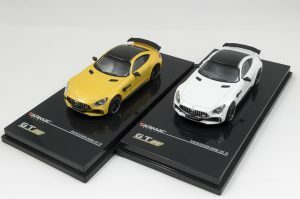 It is worth mentioning that the plain white version features a passenger seat, where all the race car versions accurately have the driver seat only. 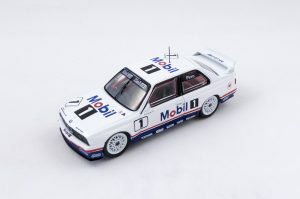 On the outside, the Mobil 1 car has an antenna while all the others don’t. 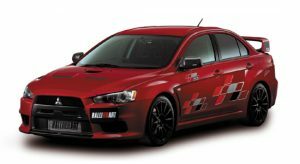 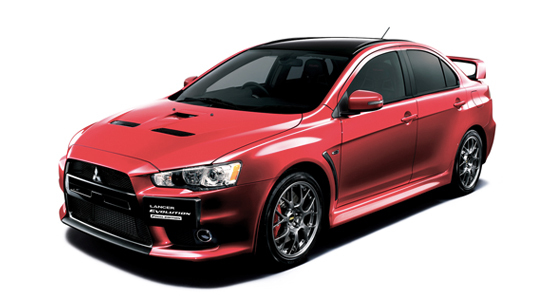 According to the few pictures of the real cars we could find on Google it seems accurate as well. 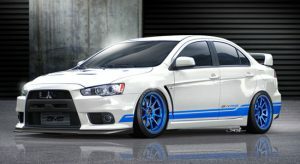 The wheels are once again beautiful, it is fair to assume by now that Tarmac will never disappoint on that aspect. The front lights could have been nicer with a little more care. Tomytec did it better on their 318 and 325. 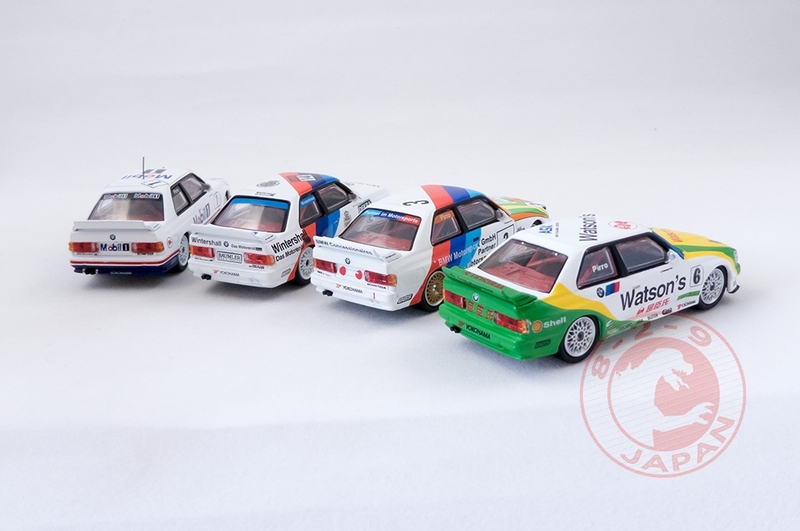 The pictures speak for themselves : these E30 are just great ! 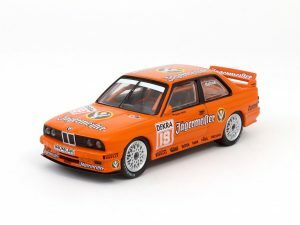 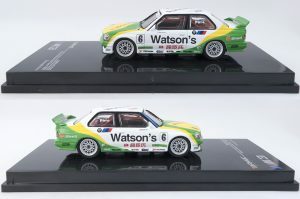 Missing from this review is the newly released orange Jagermeister DTM version that look awesome. 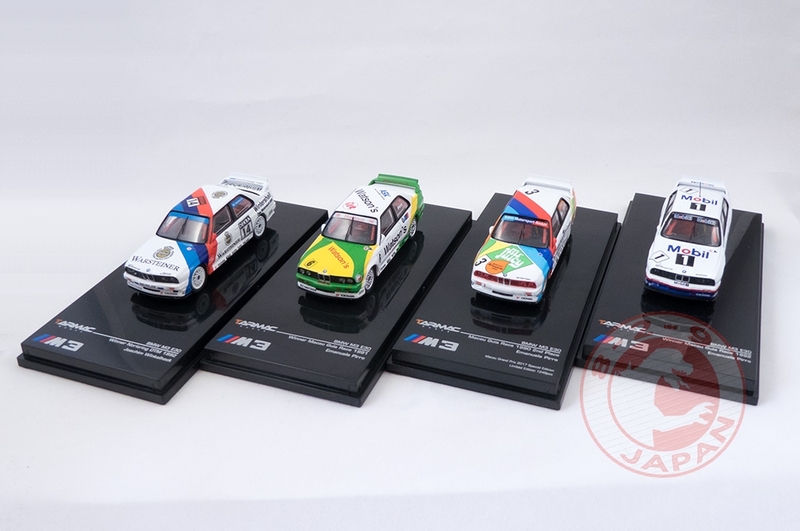 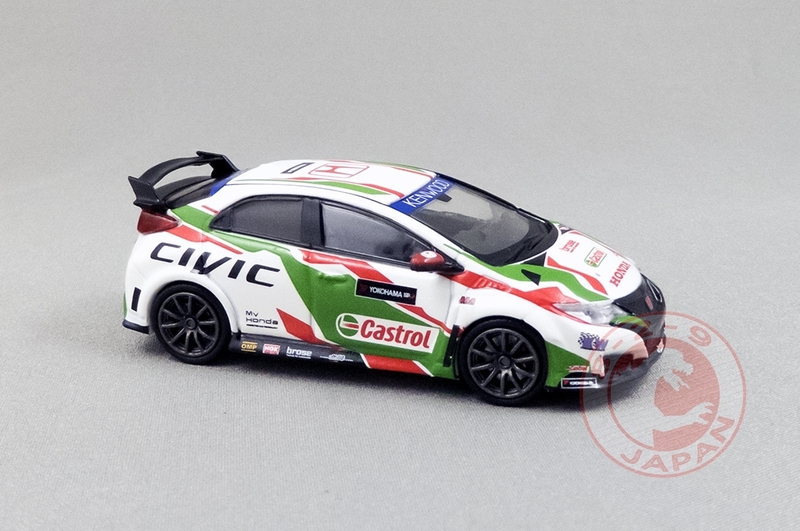 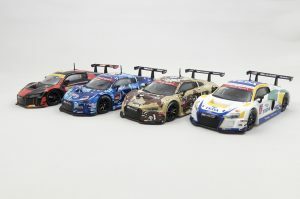 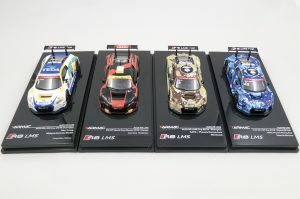 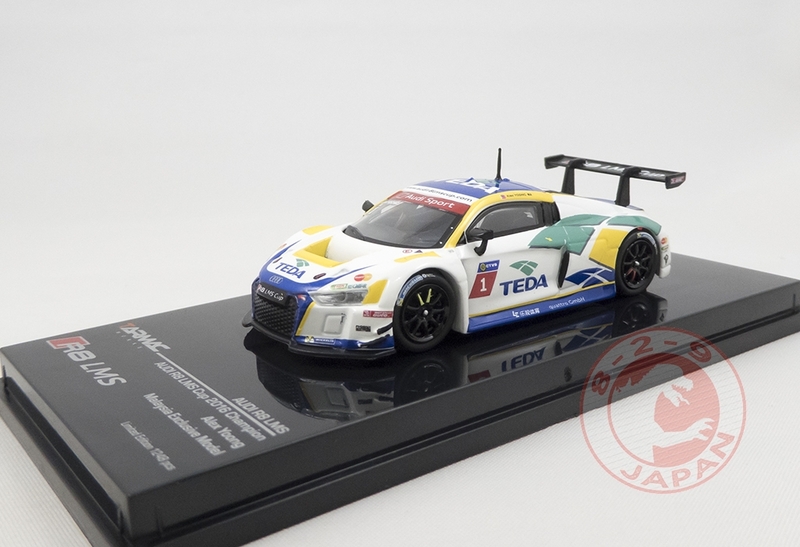 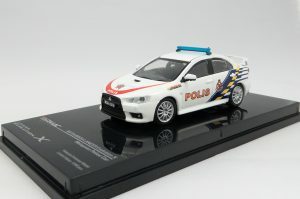 And more are coming with emblematic liveries : FINA, Marlboro, Advan, Falken, Michelin, Bastos and even TicTac ! 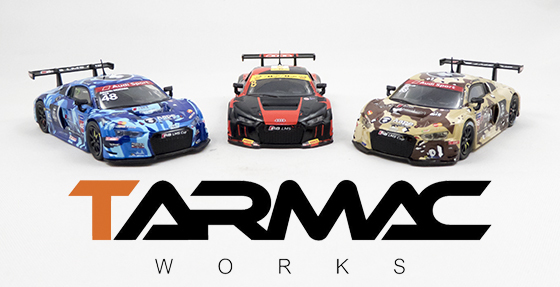 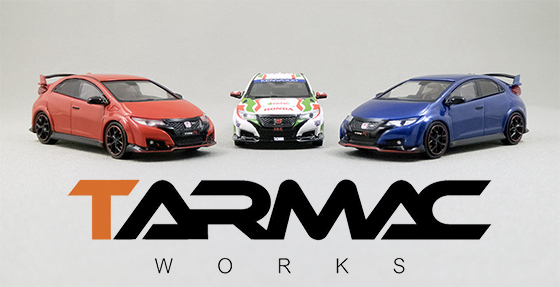 The Beast of the Green Hell is joining Tarmac Works’ Hobby64 lineup ! Exciting to see this car finally get a proper 1/64 release. 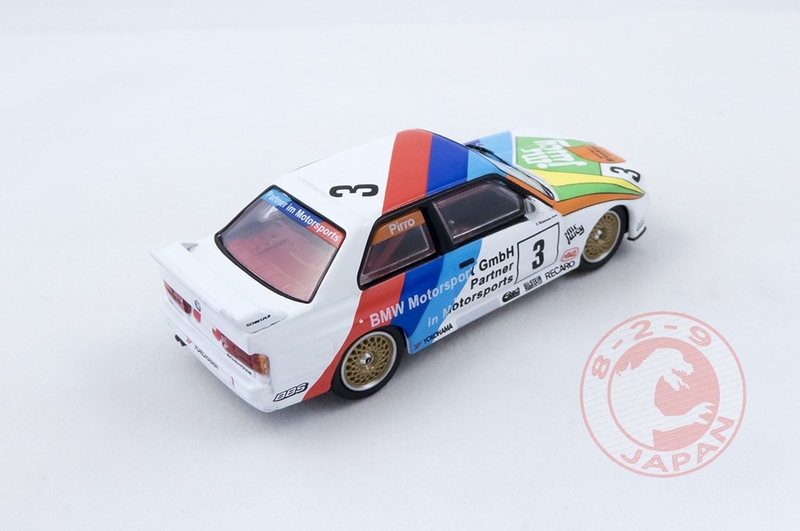 Overall very nice model featuring gorgeous wheels and remarkable paintjob on the front grill. 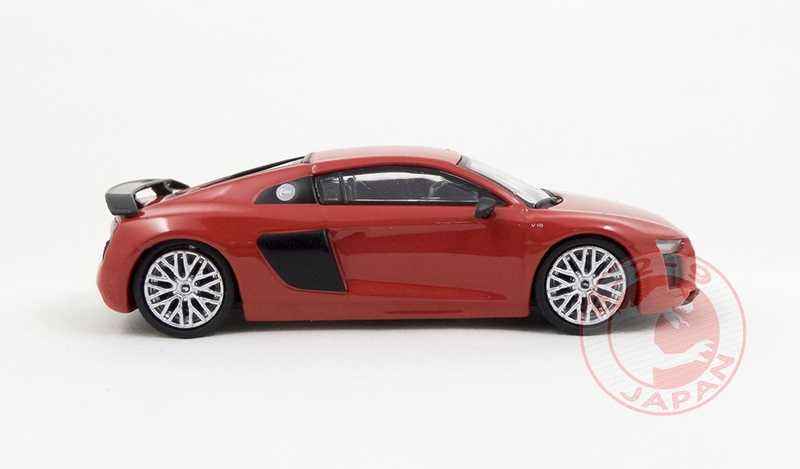 The rubber side mirrors are totally unbreakable but not always straight though. Can’t wait for the GT3 versions ! 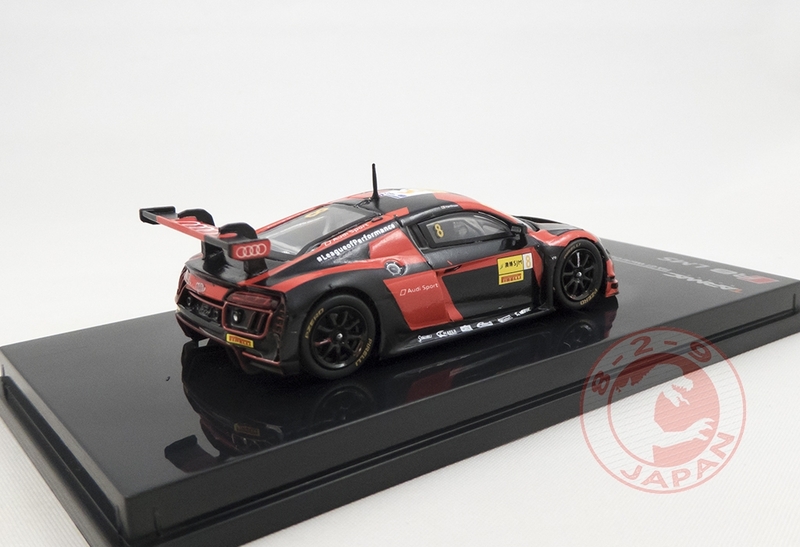 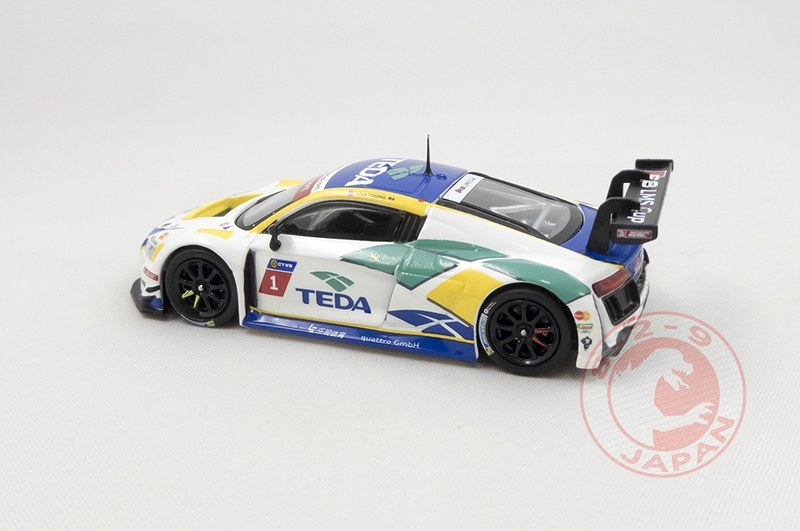 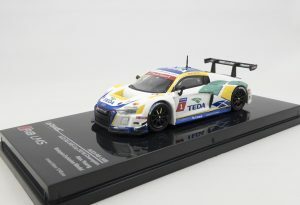 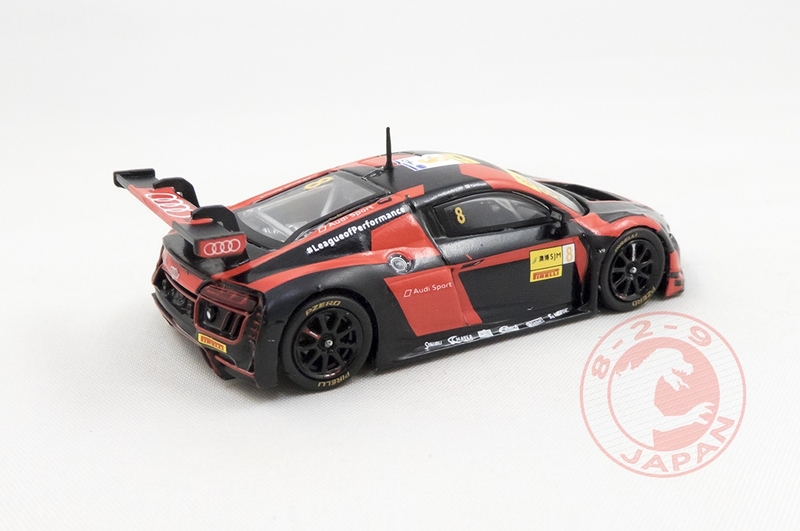 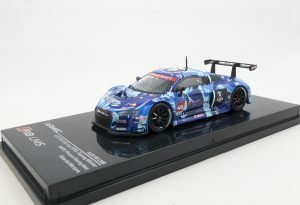 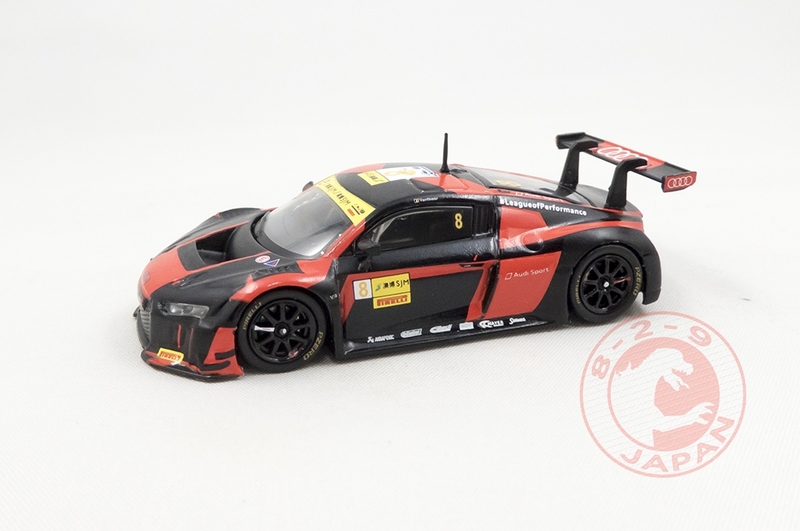 The R8 LMS is a favourite of Tarmac Works with many different version already available and certainly more to come. 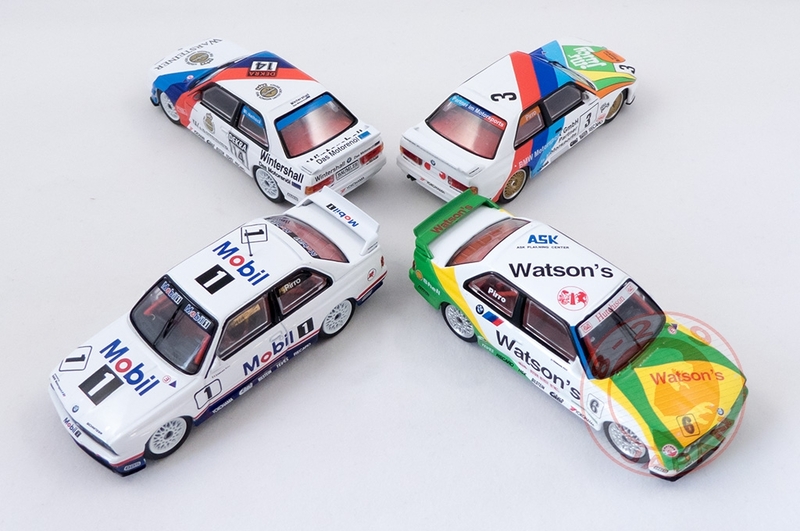 The attention to detail on the race liveries is impressive and because pictures speak louder than a thousand words just take a close look at four of these beauties. 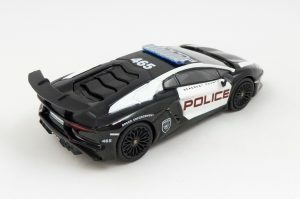 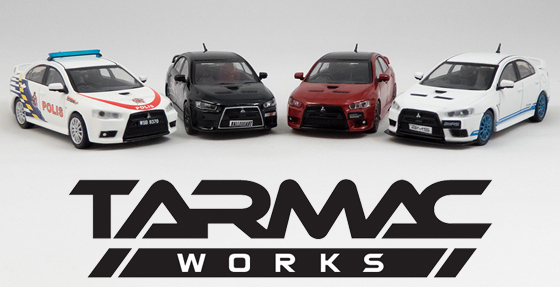 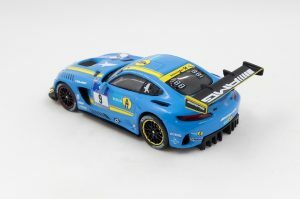 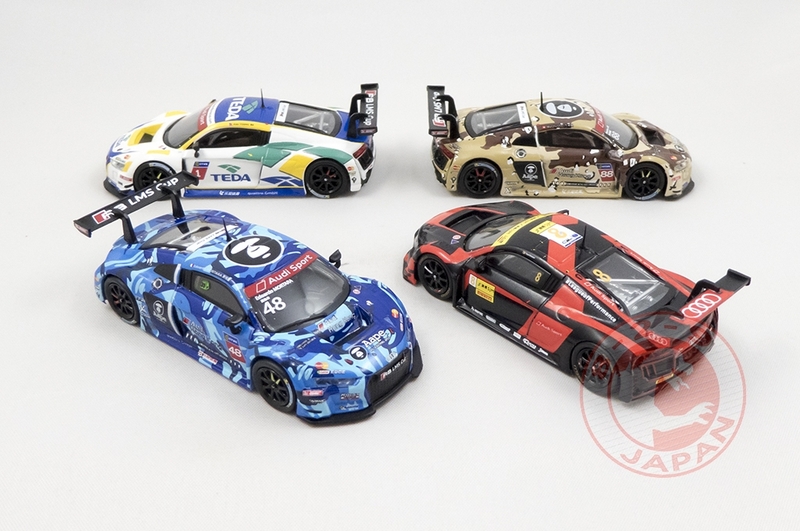 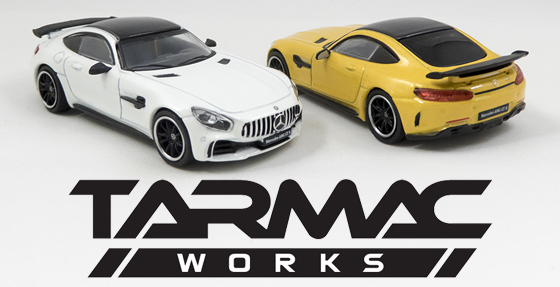 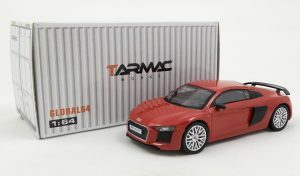 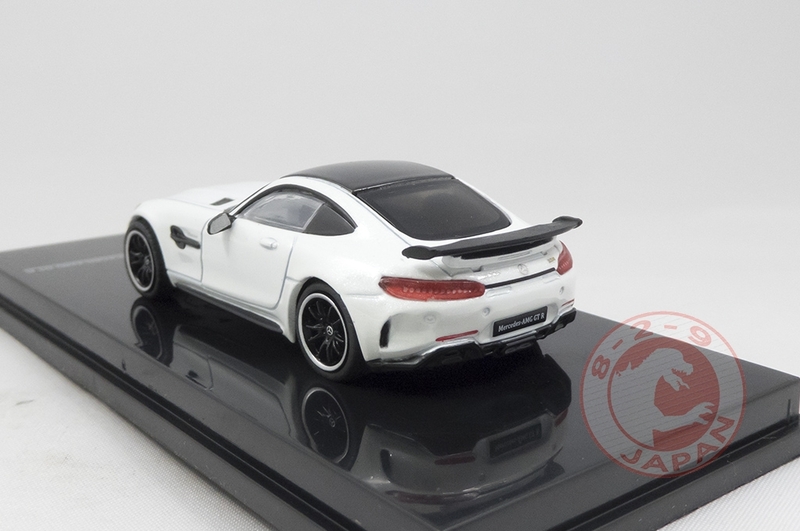 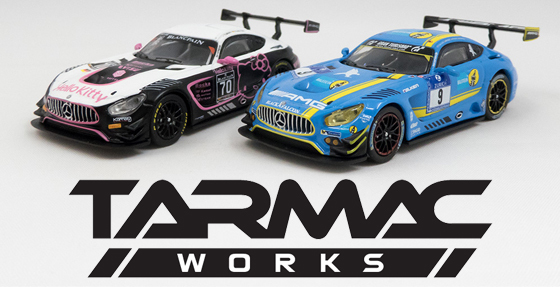 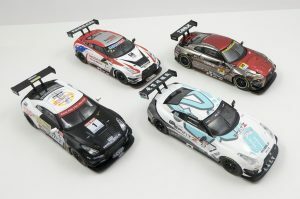 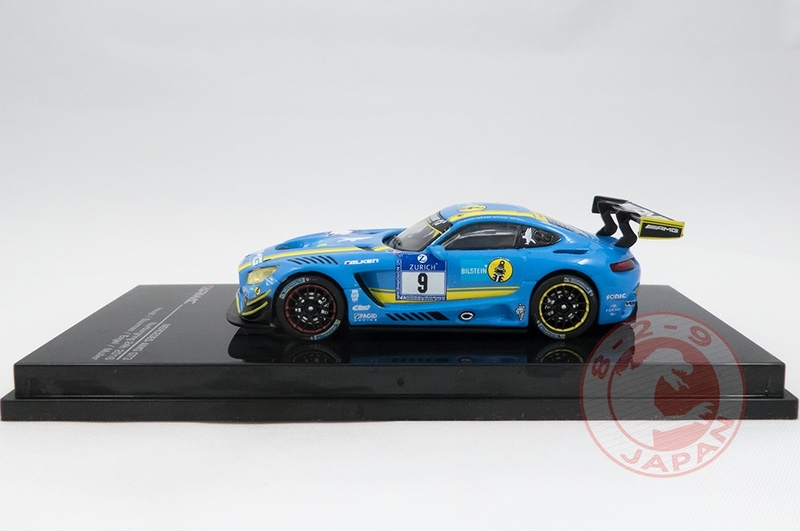 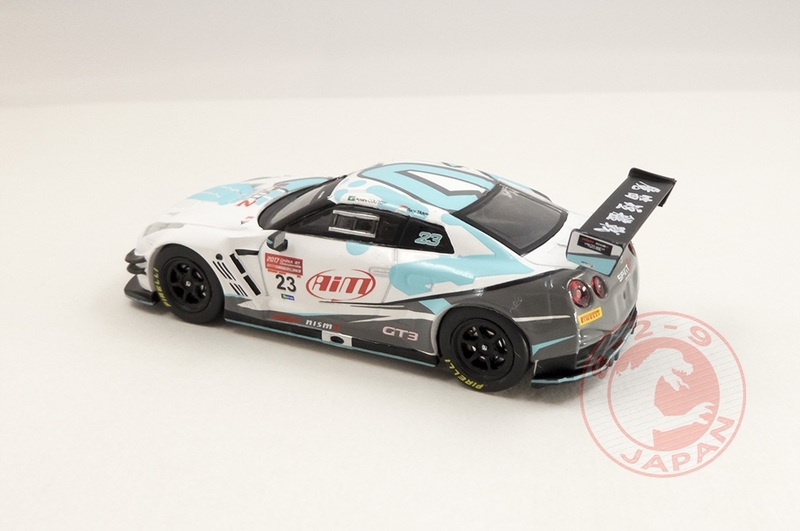 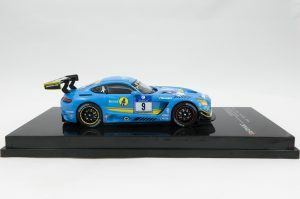 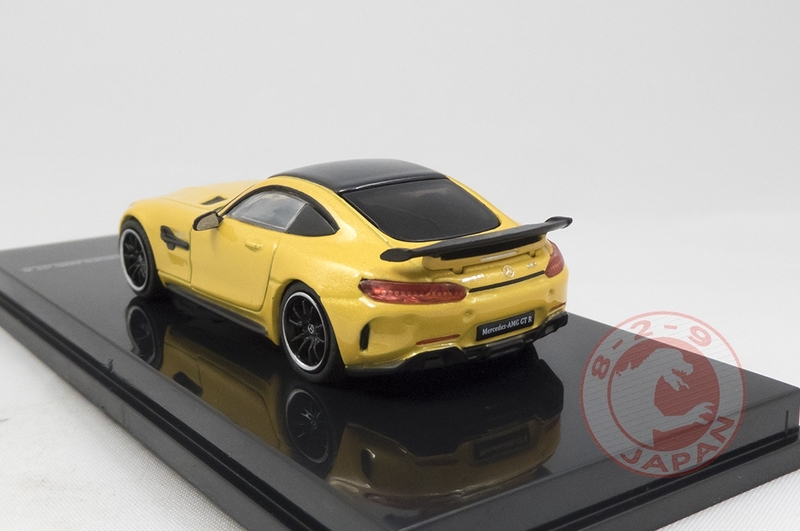 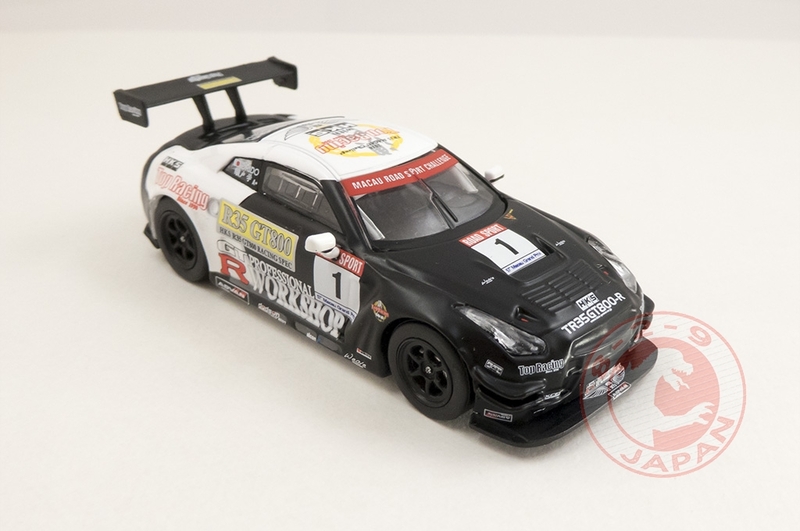 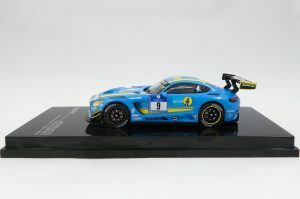 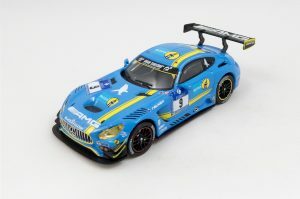 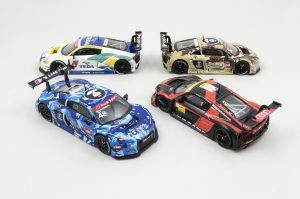 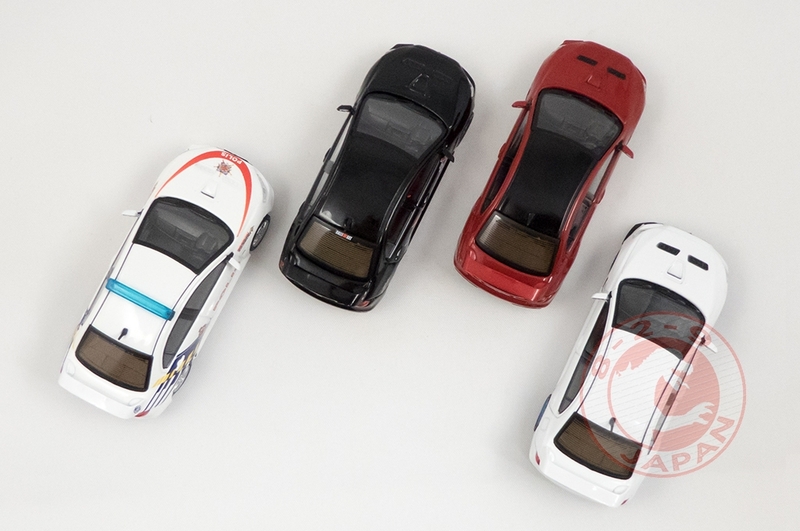 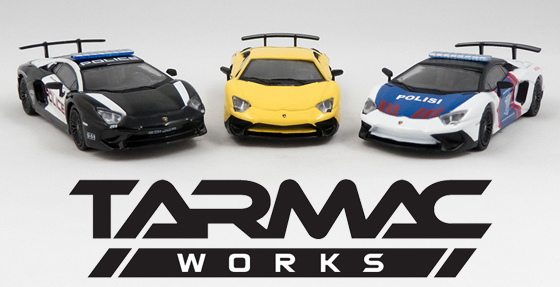 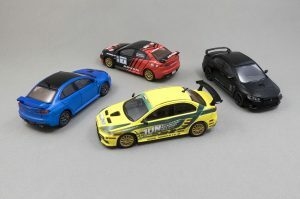 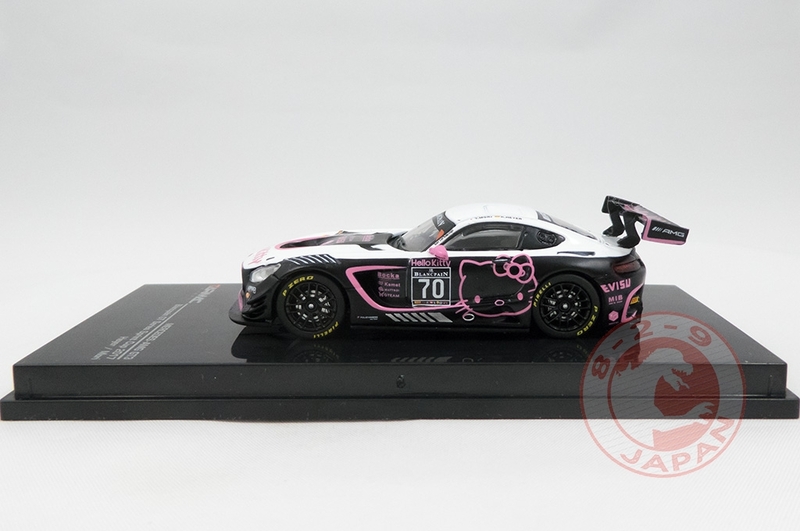 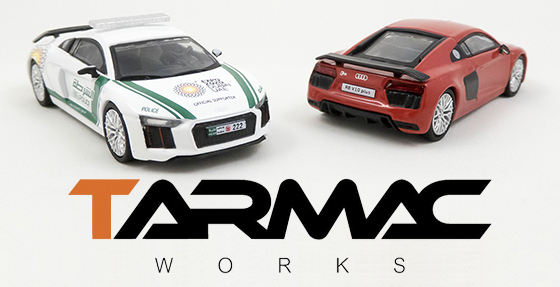 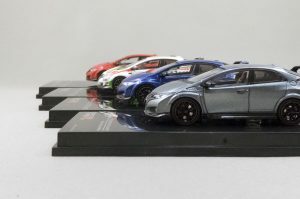 Alongside the high-end offering of the Hobby64 line, clearly meant as collectible items, Tarmac Works has launched a line aiming at the wider toy car market : Global64. 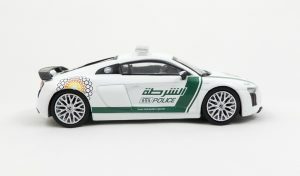 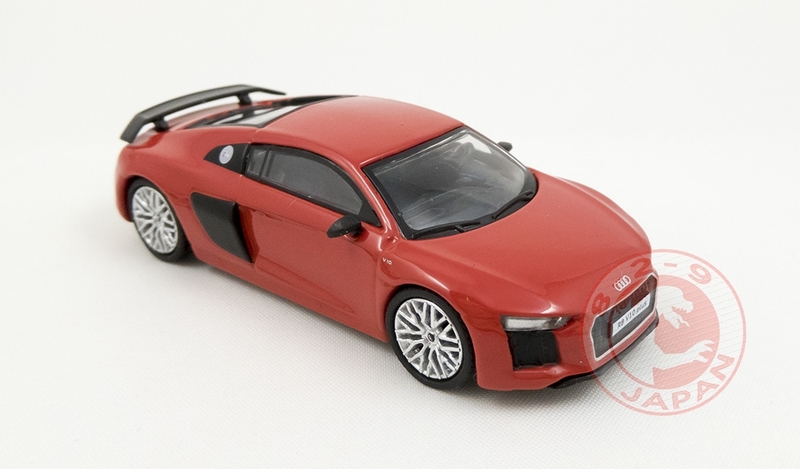 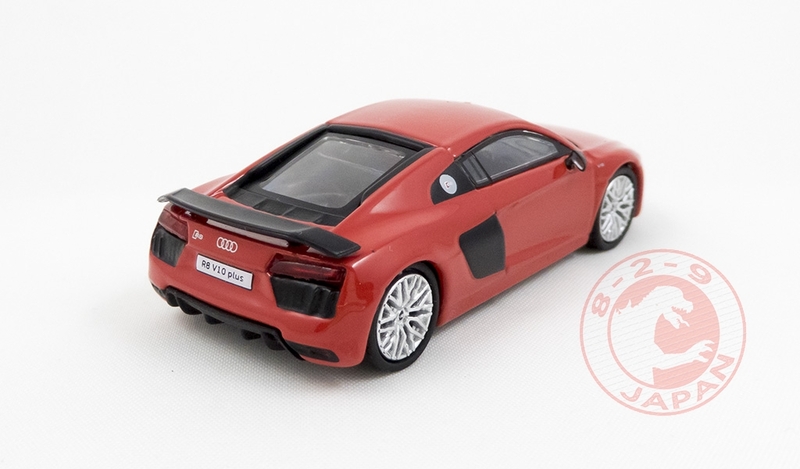 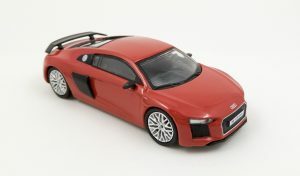 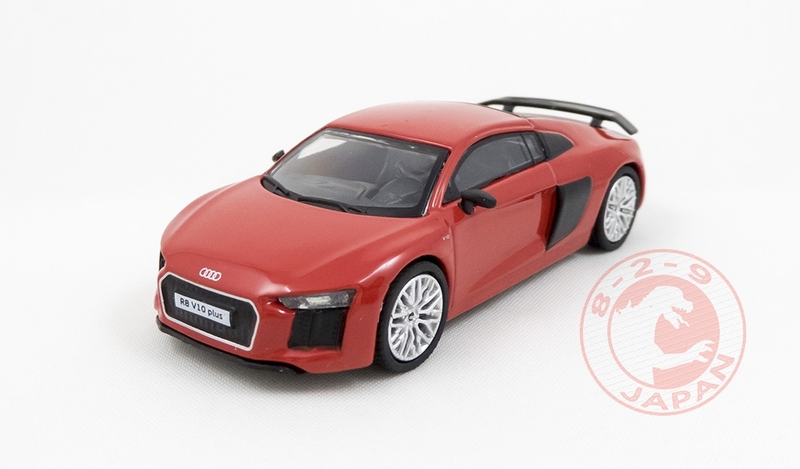 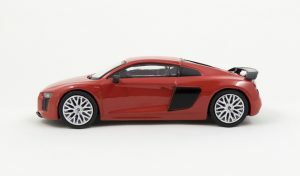 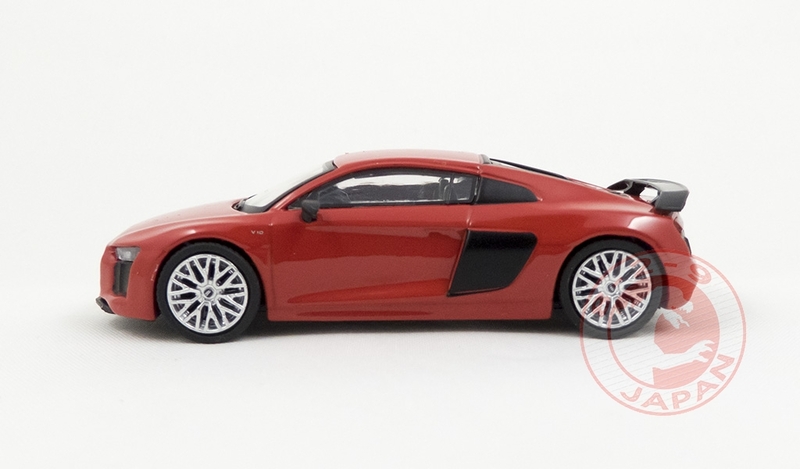 The first car featured in this collection is the Audi R8 V10 Plus. 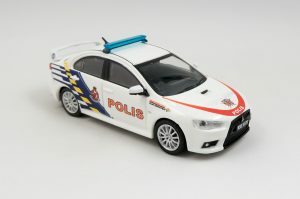 With a tag price of US$8.90, half the price of a Hobby64 car, we were expecting a big downgrade in overall quality. But these Audi are looking quite good. 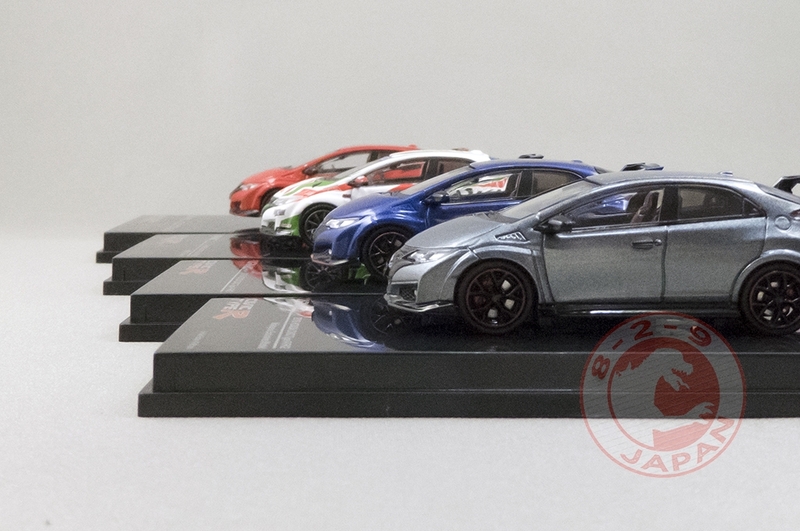 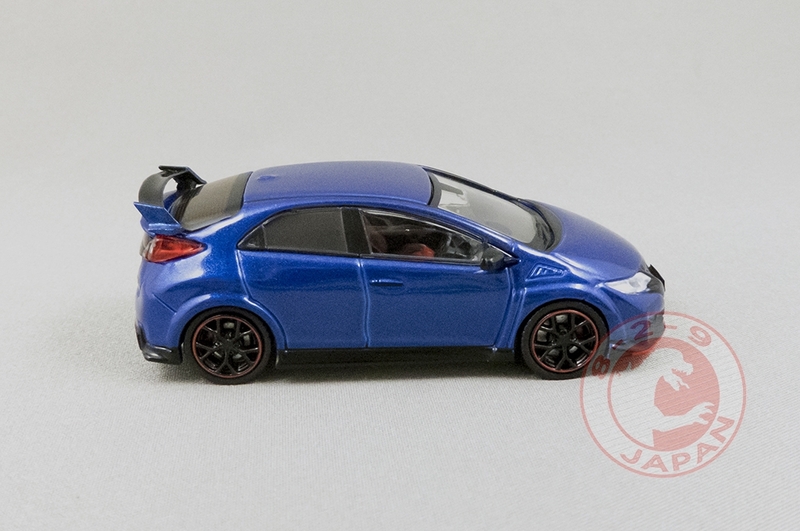 They even come with a neat storage box like Tomica cars (unfortunately the box is the same for all cars). 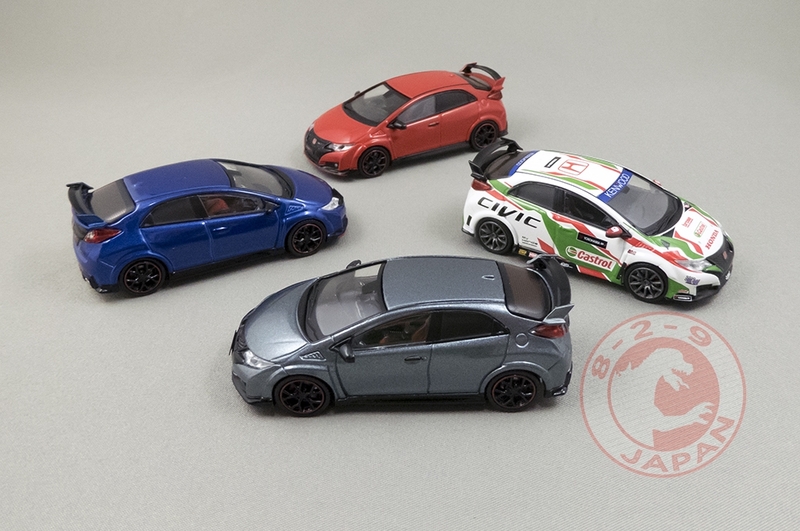 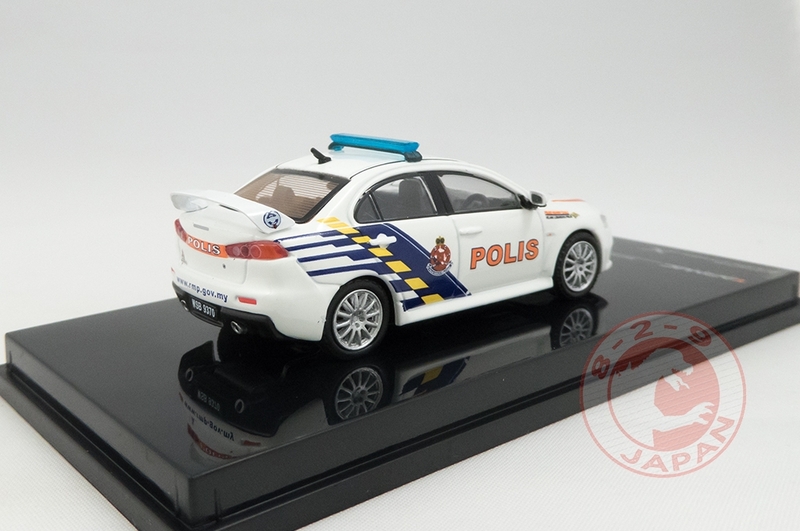 And like Tomica cars they roll very well. 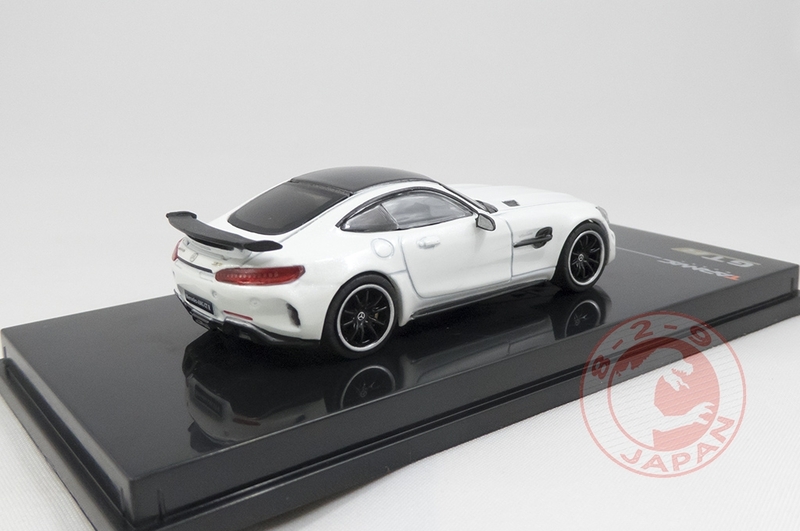 The quality seems to be similar to the Kyosho x SunKus models : rubber tires, no suspension, clear plastic for lights and clean tampos/decals… A very close look can reveal a few paint chips and irregular lines but overall there’s not many visible flaws. The wheels are, as usual with Tarmac, very well made. Considering their low price the Global64 cars offer quite some bang for the buck. 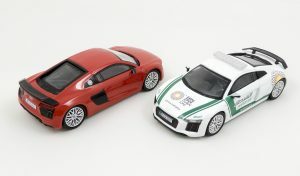 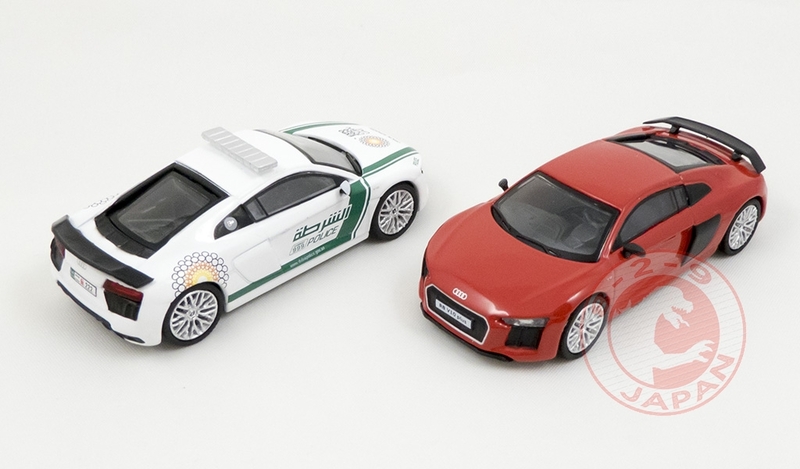 More R8 are coming with a German police version, a safety car version as well as silver and yellow colors. 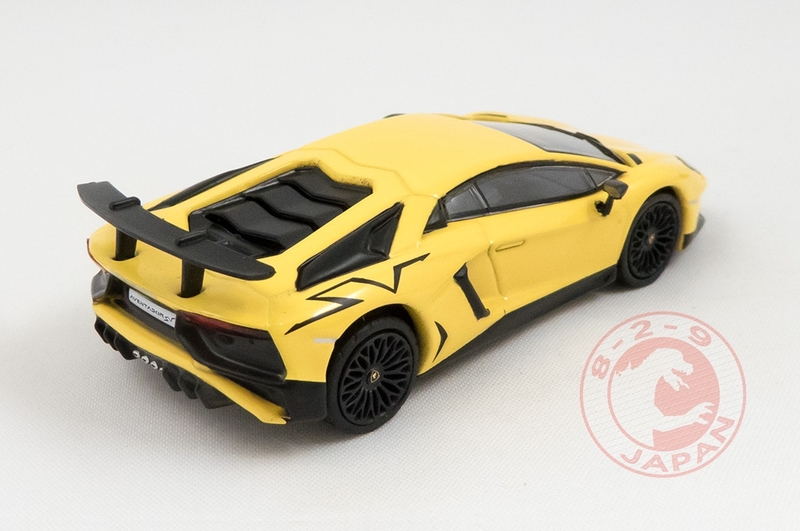 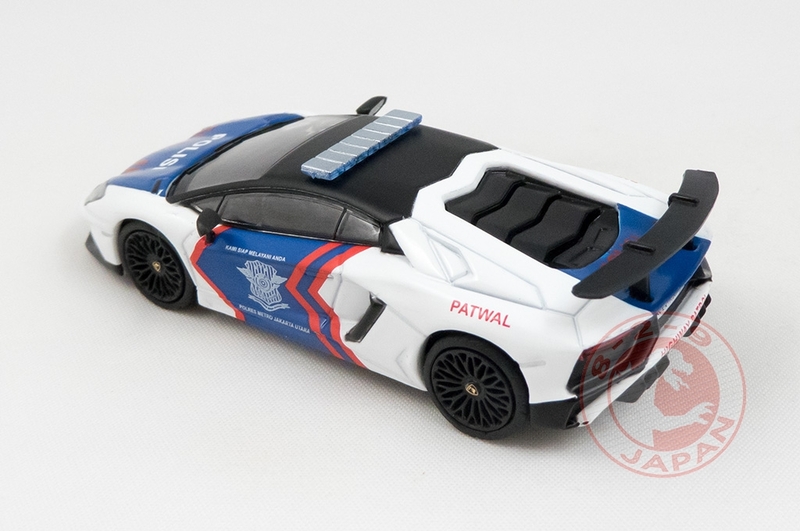 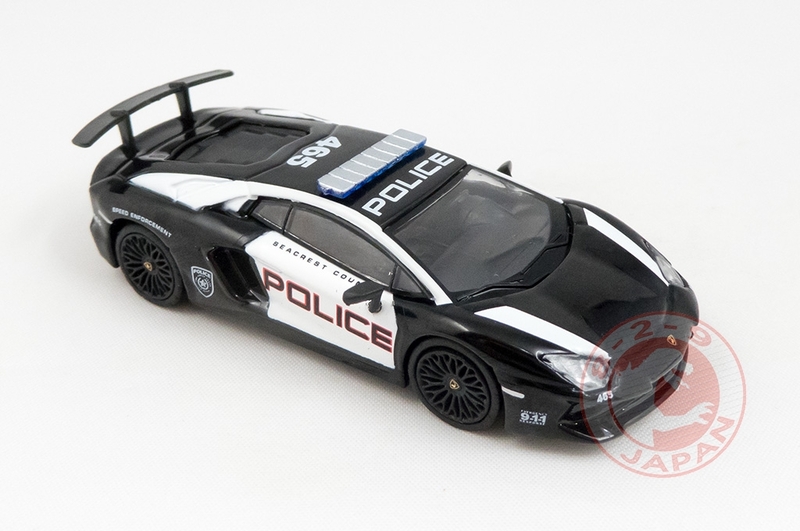 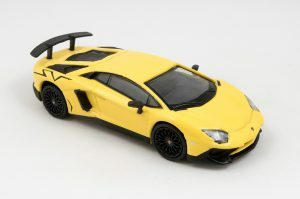 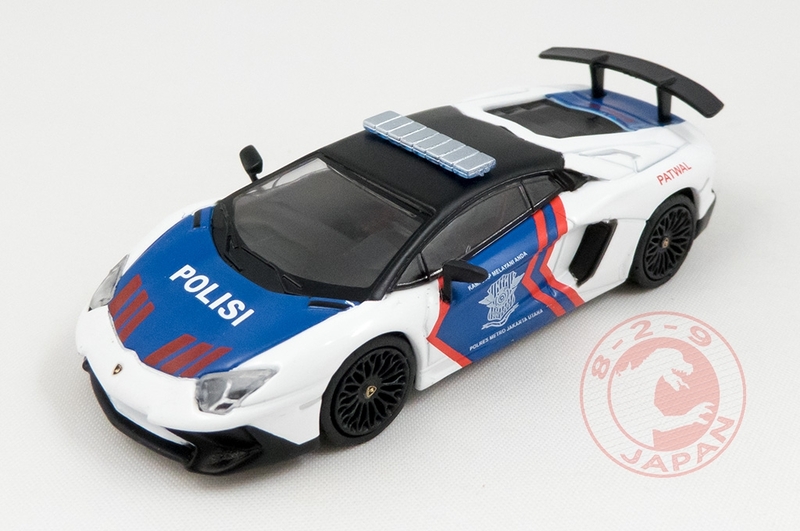 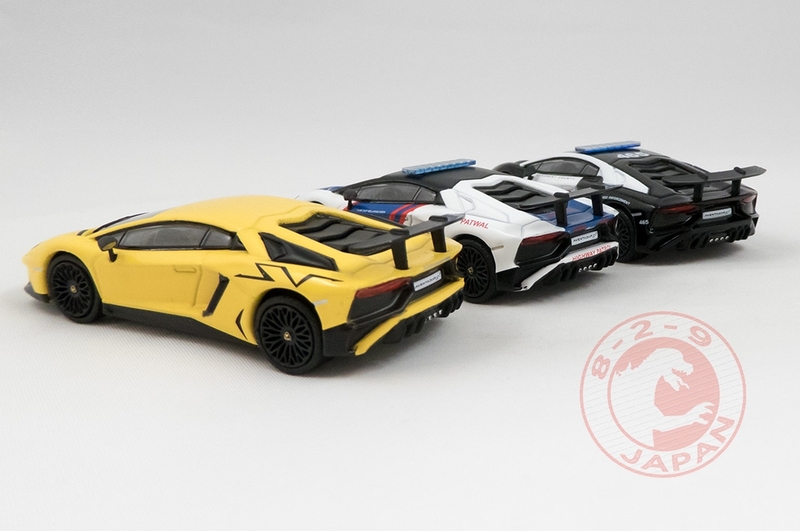 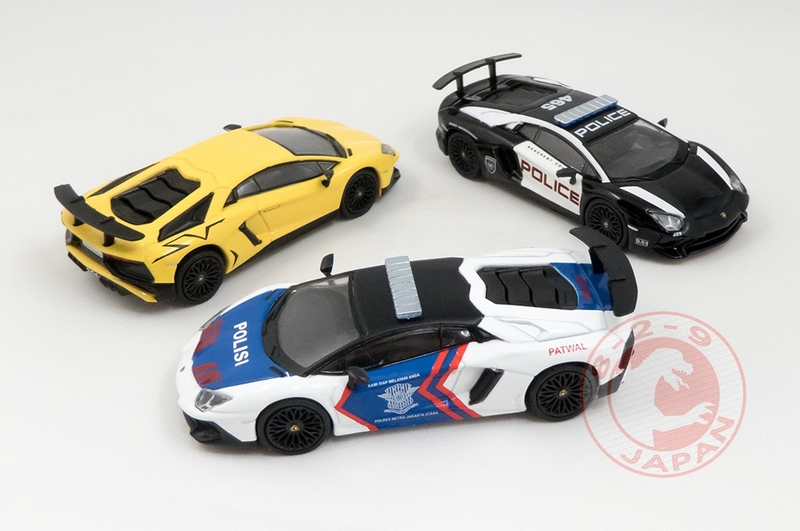 The next entry in this line will be the Lamborghini Aventador LP750-4 SV.